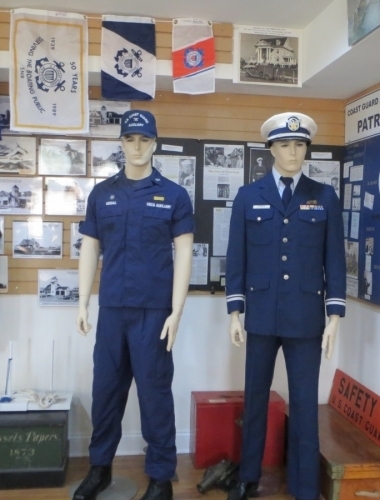 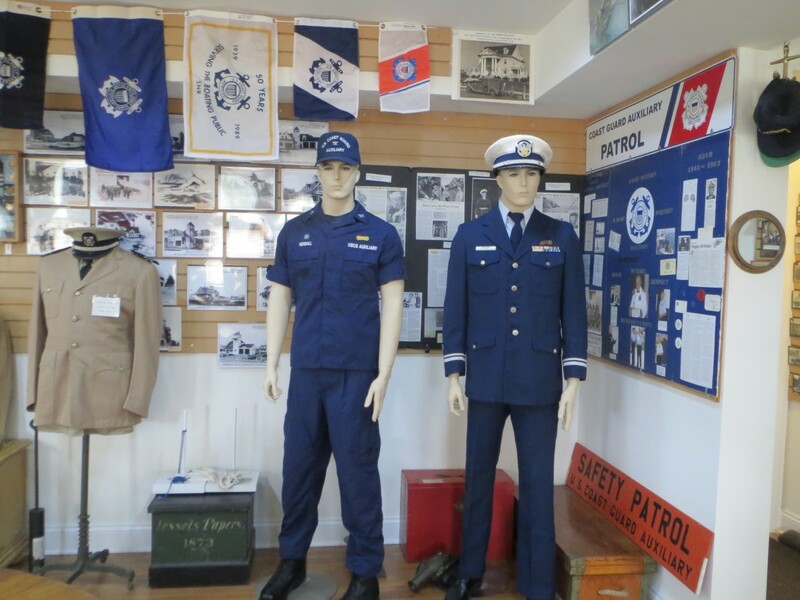 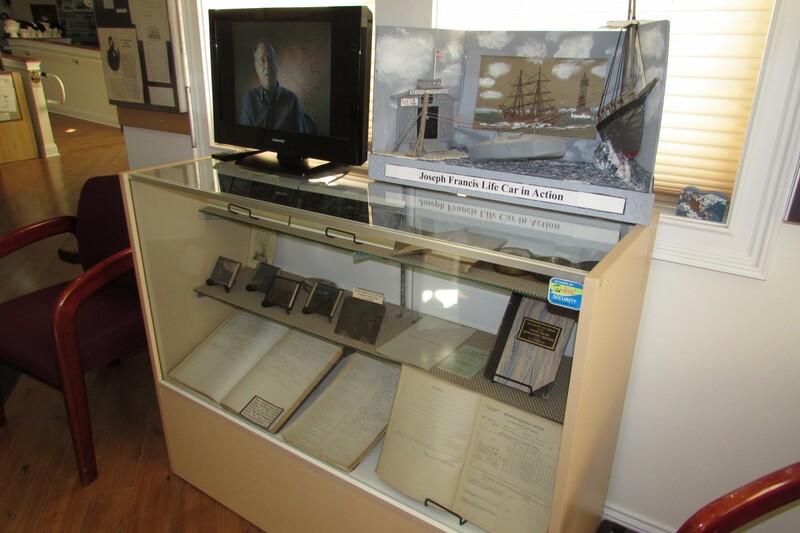 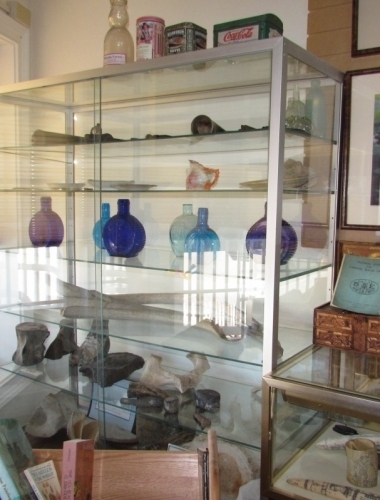 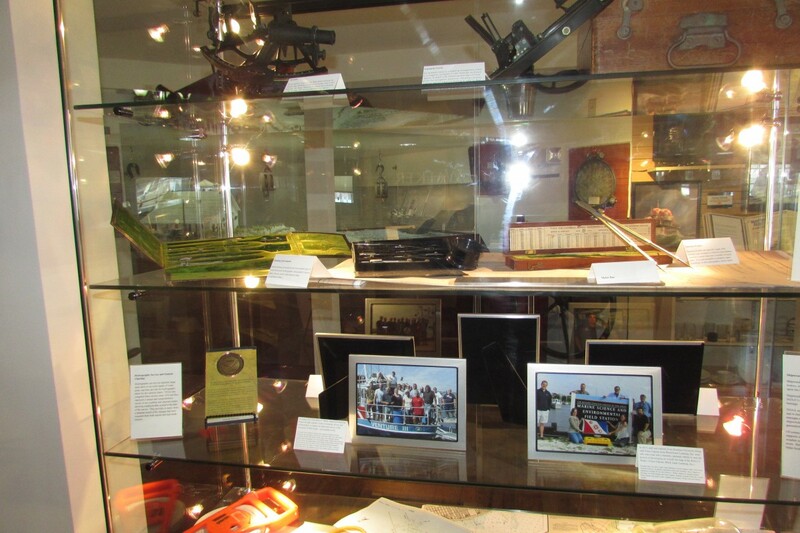 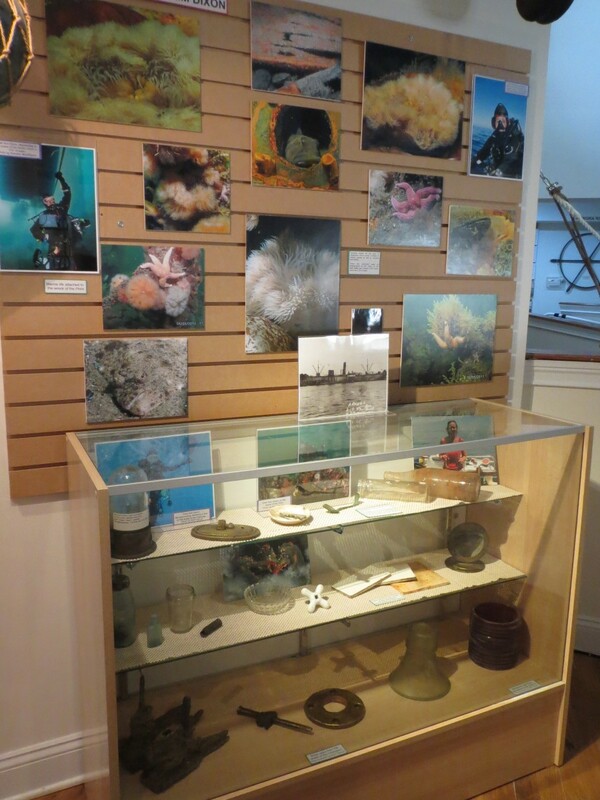 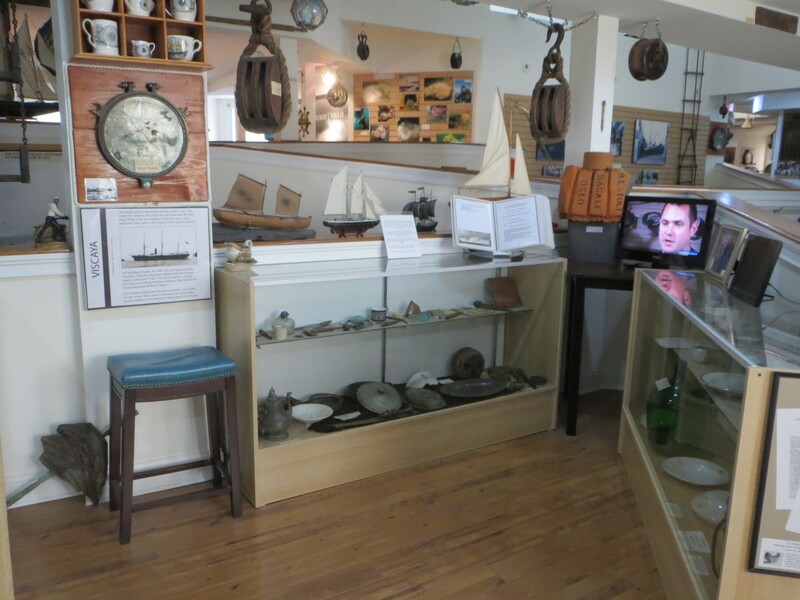 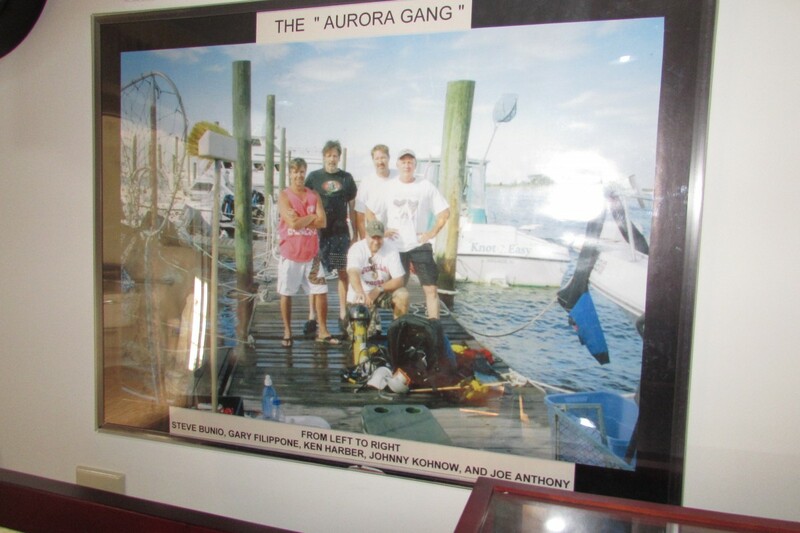 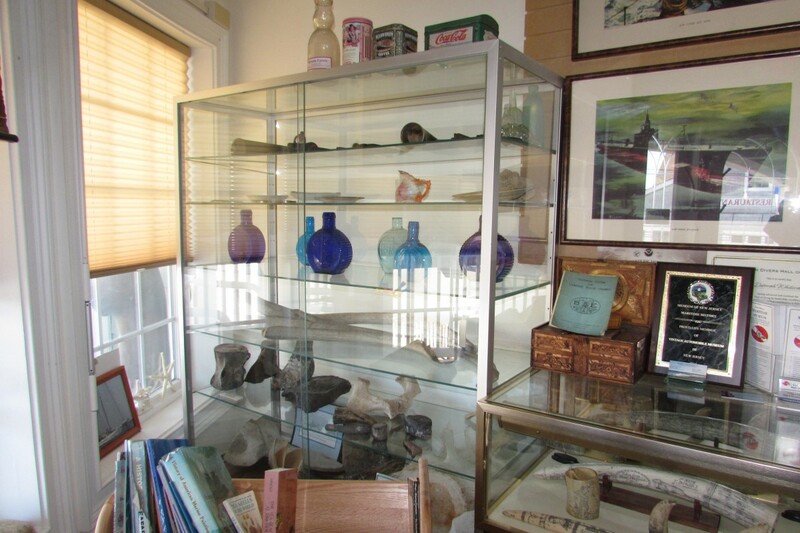 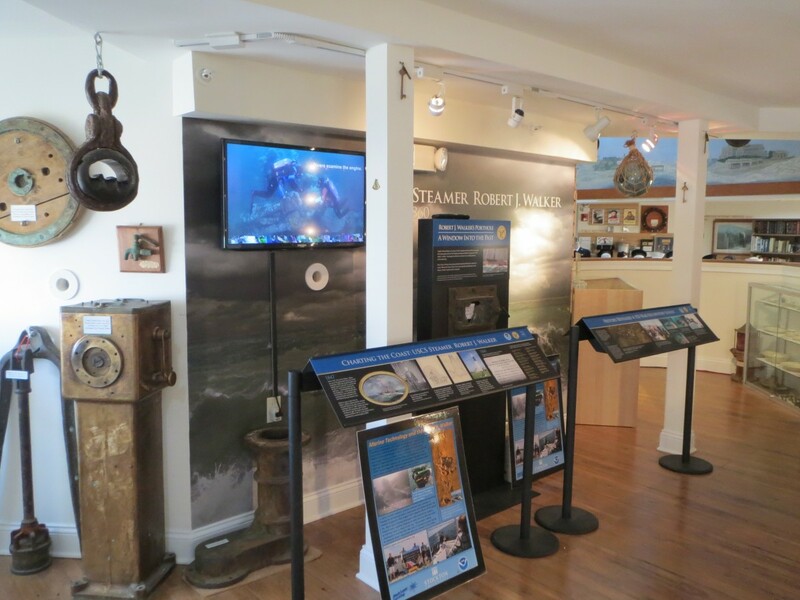 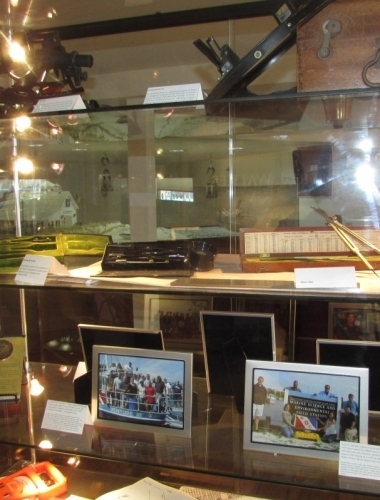 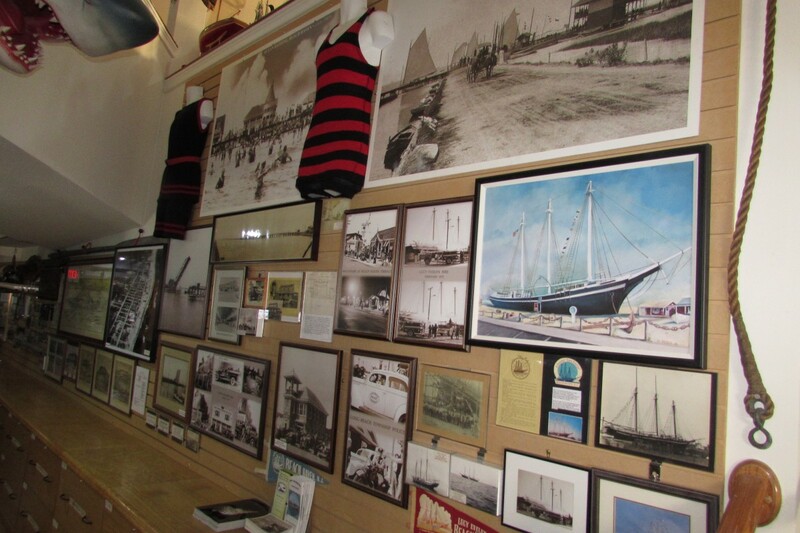 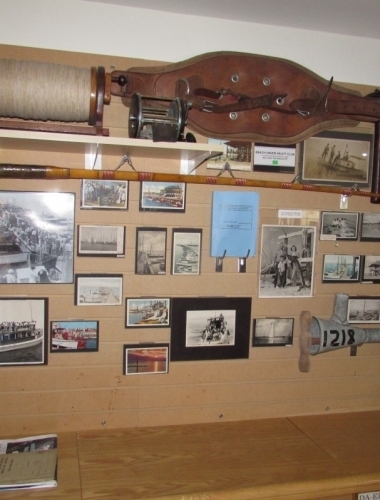 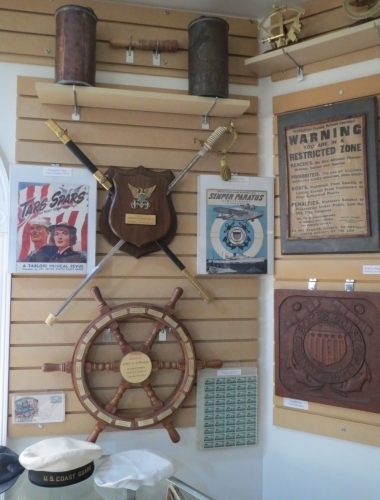 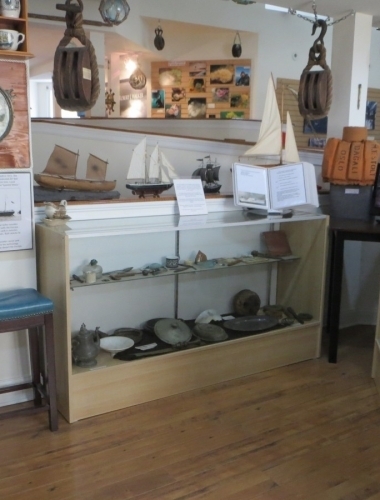 Several topics are on exhibit at the NJ Maritime Museum. 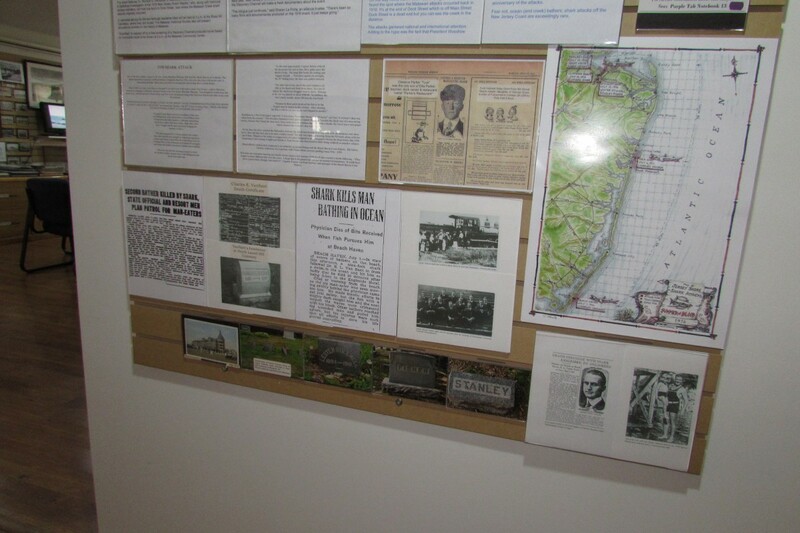 Below is a short list of some of the topics on display at this time. 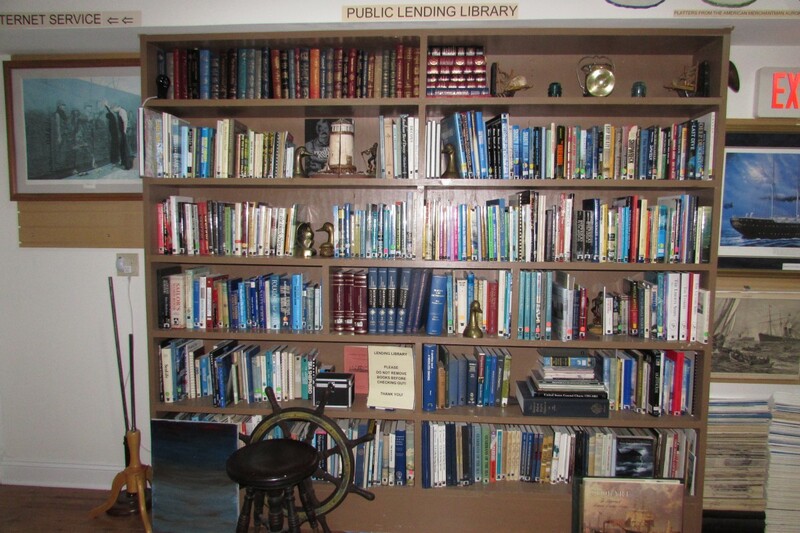 Our thanks to our sponsors and patrons who have donated or loaned much of what you see here. 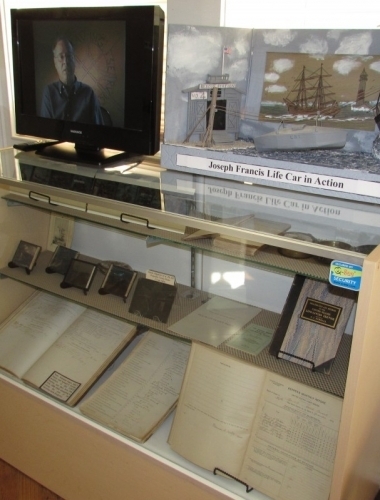 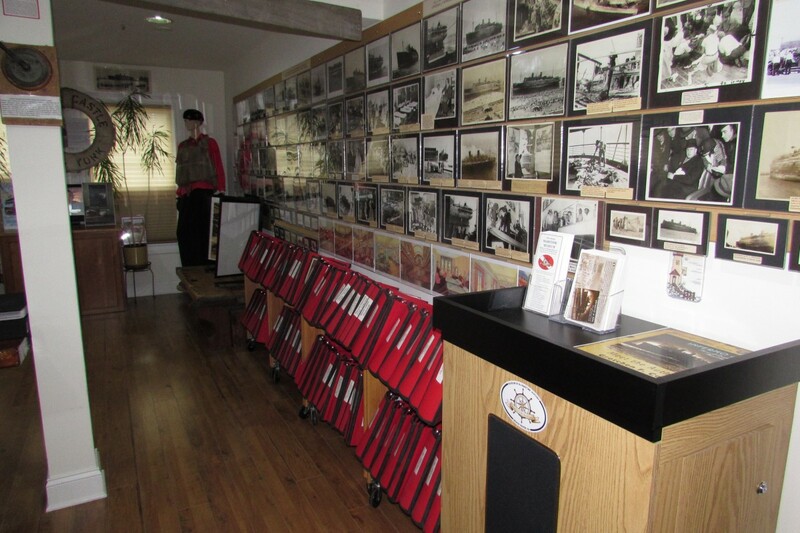 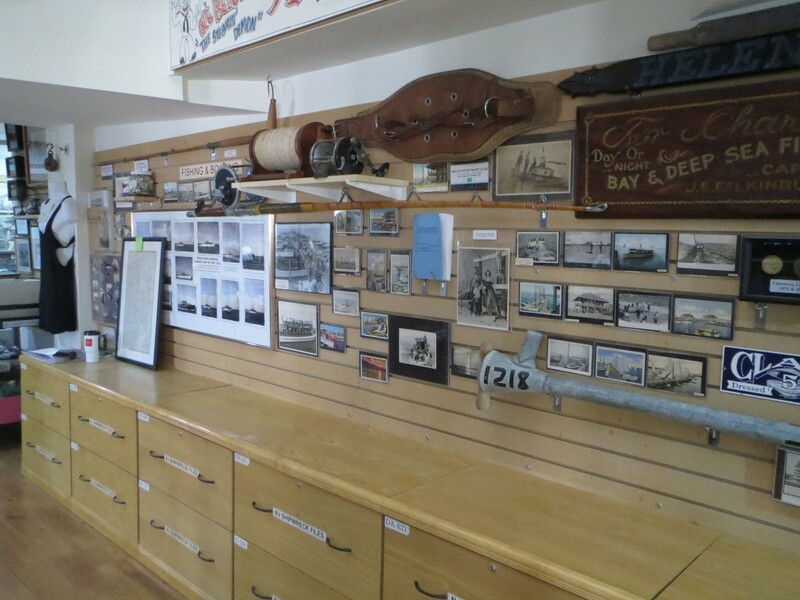 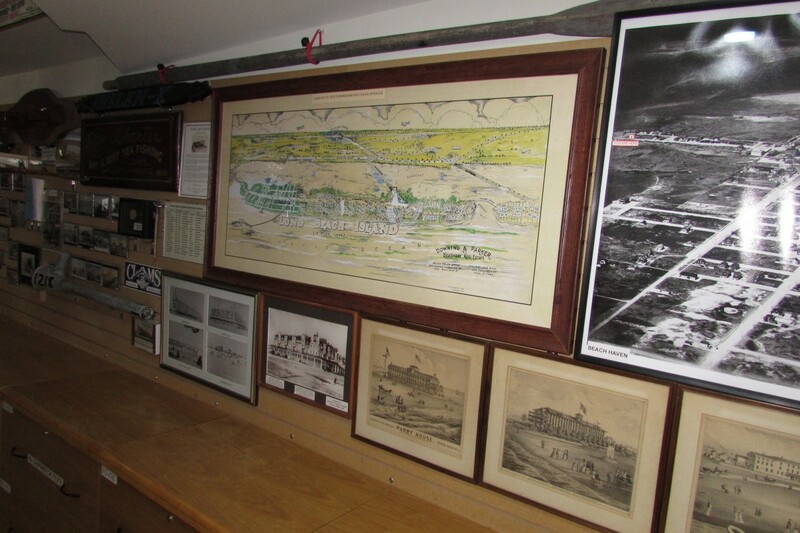 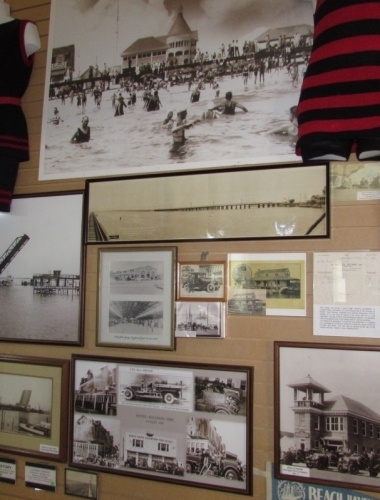 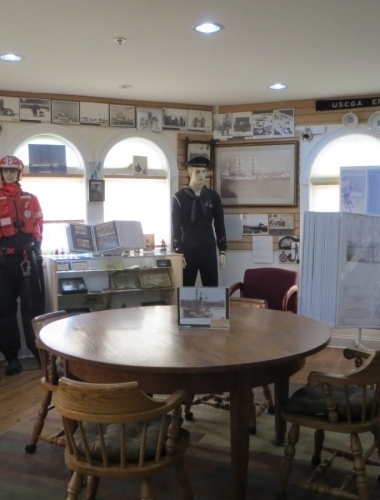 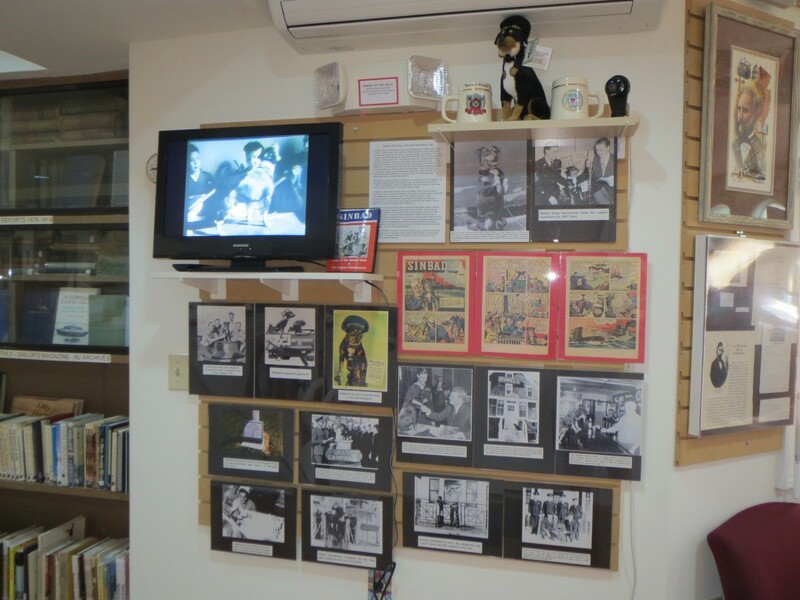 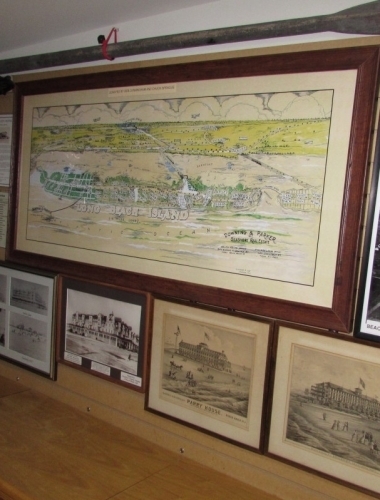 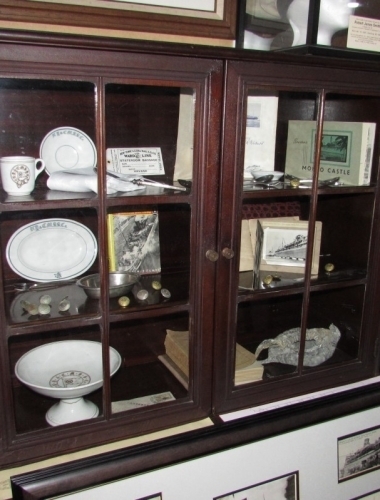 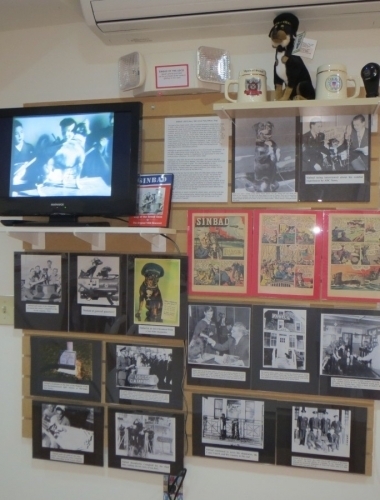 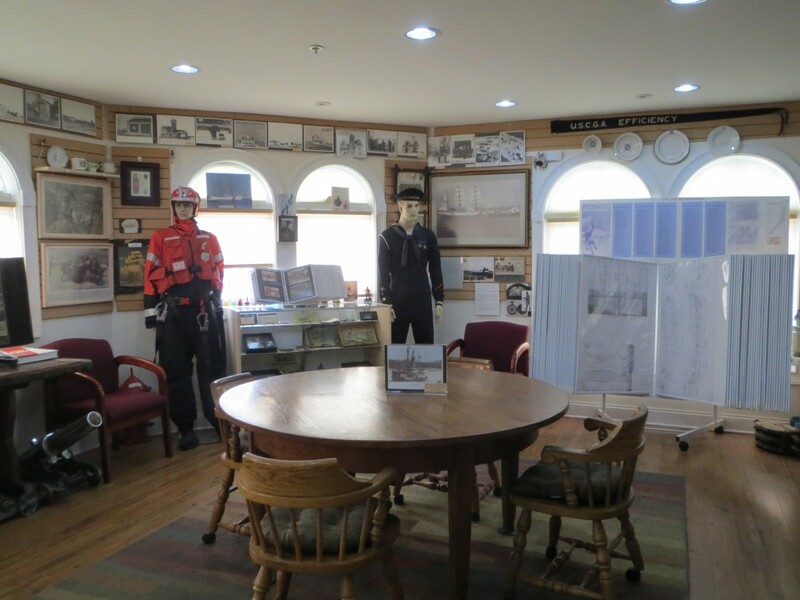 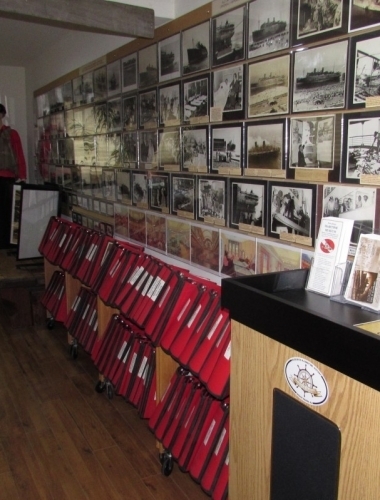 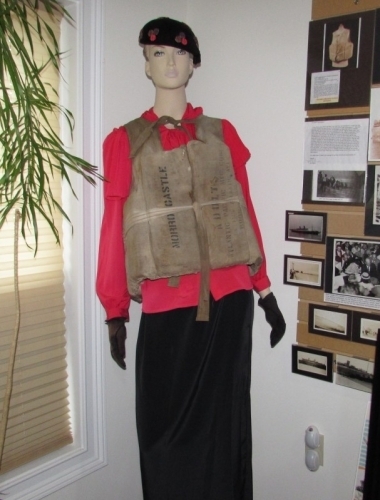 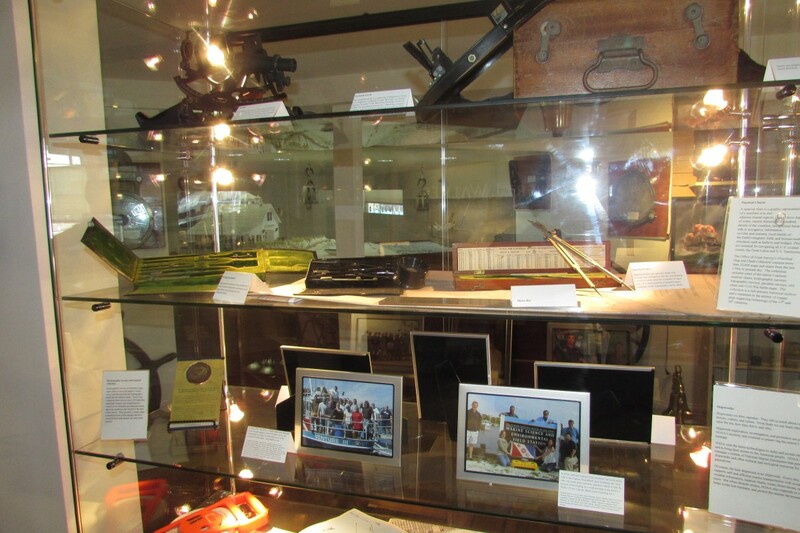 U.S. Life Saving Service Exhibit: Rare documents; station log books; uniform medals and buttons; complete 39-volume set of annual USLSS reports from 1876 to 1914; Lyle gun; coston cannister; patrolman “checks” and much more! 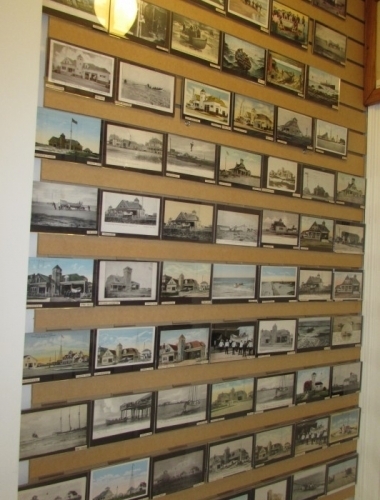 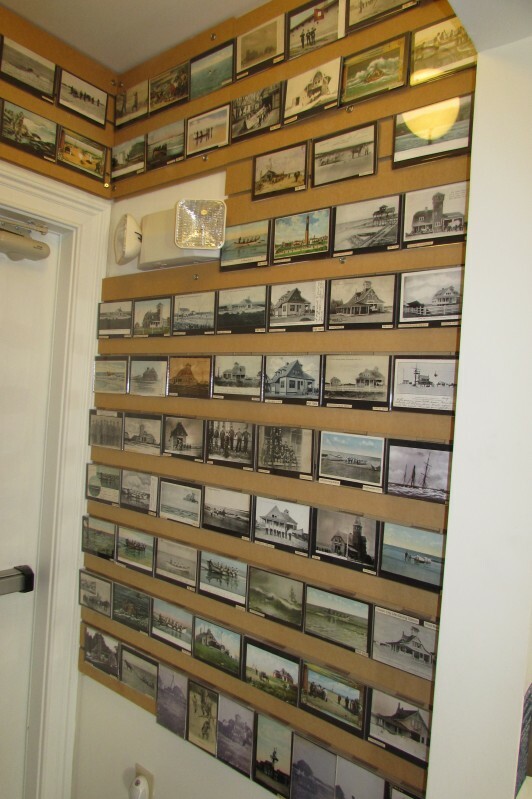 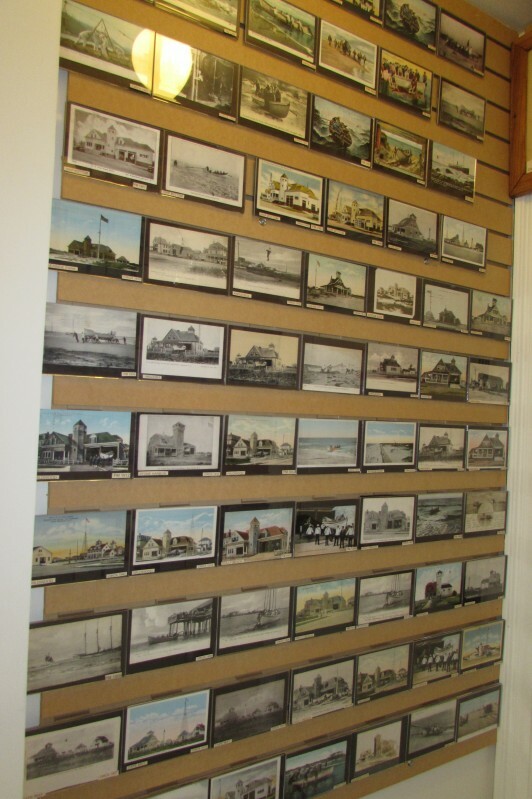 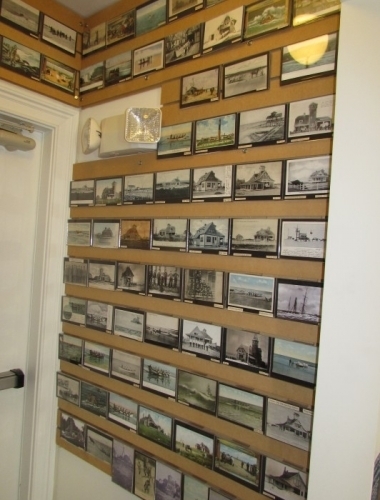 Rare post-card collection of New Jersey towns, USLSS stations, lighthouses and other maritime-related fields. 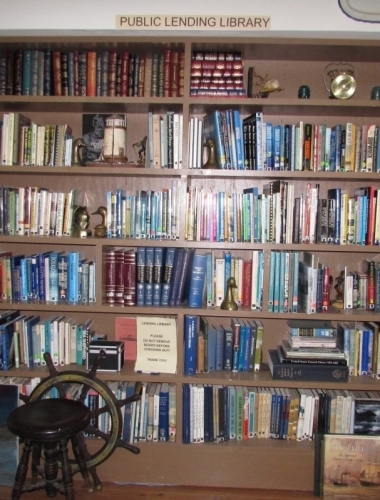 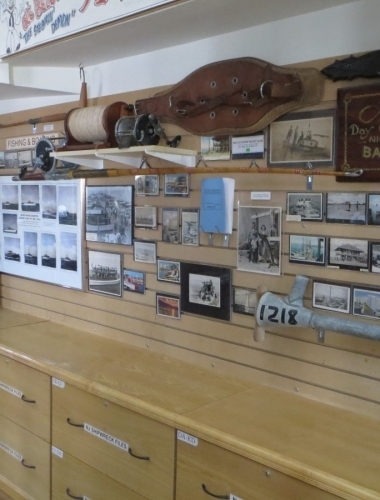 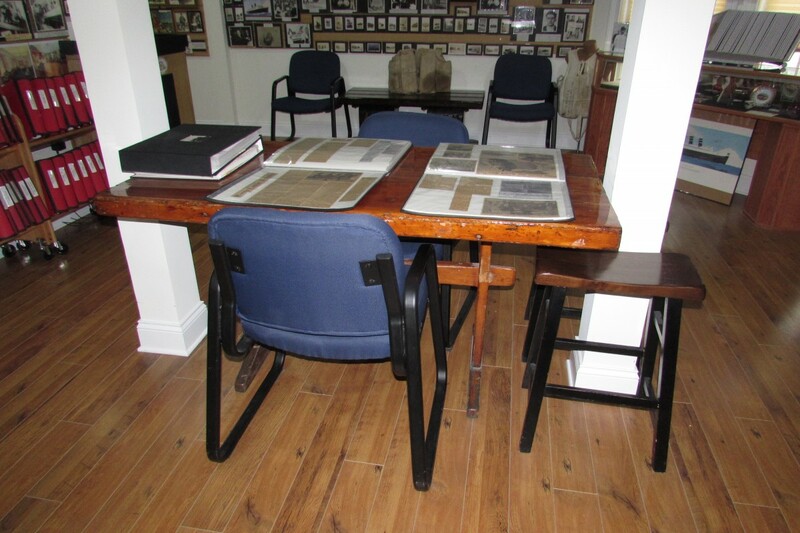 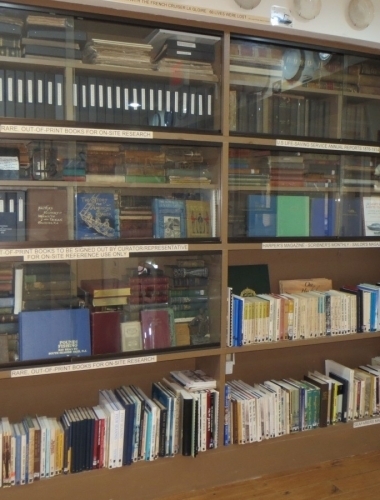 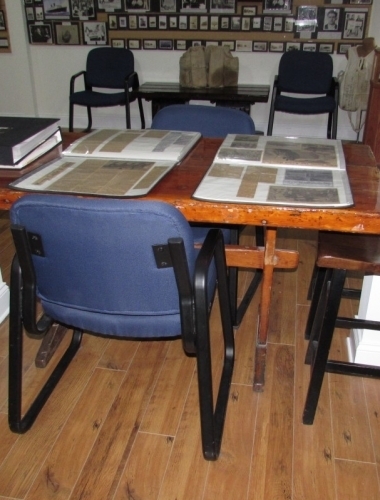 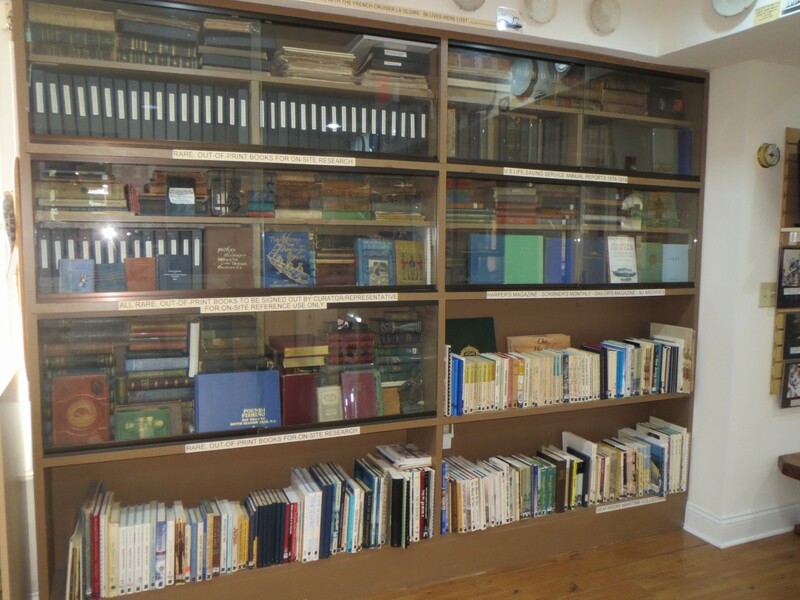 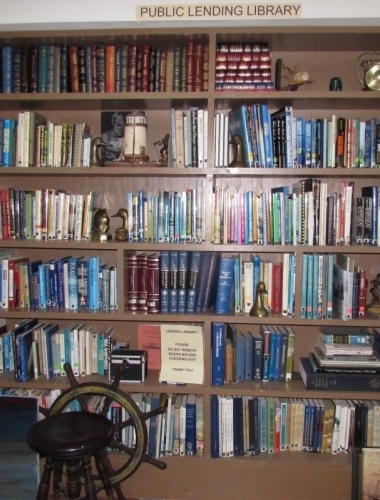 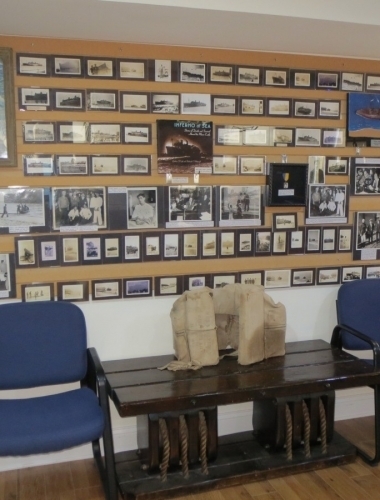 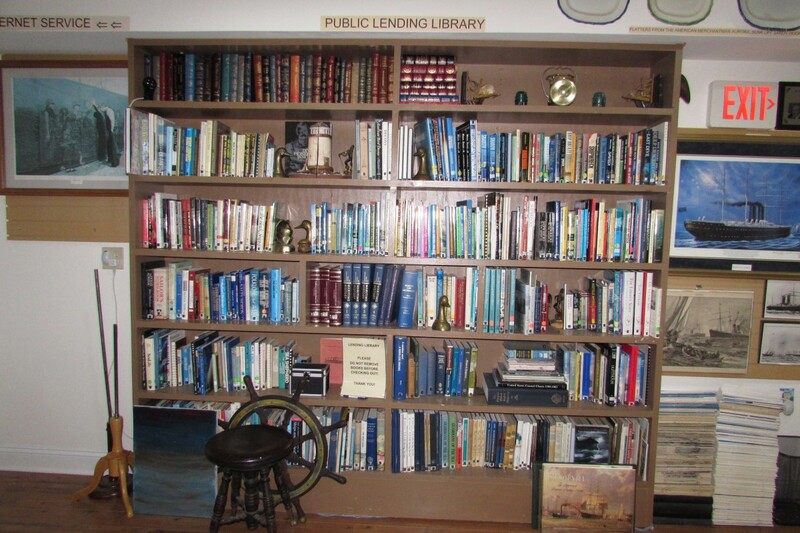 Extensive research library, consisting of hundreds of rare, out-of-print books, Sailor’s Magazine and Naval Journal, shipwreck files and photographs. 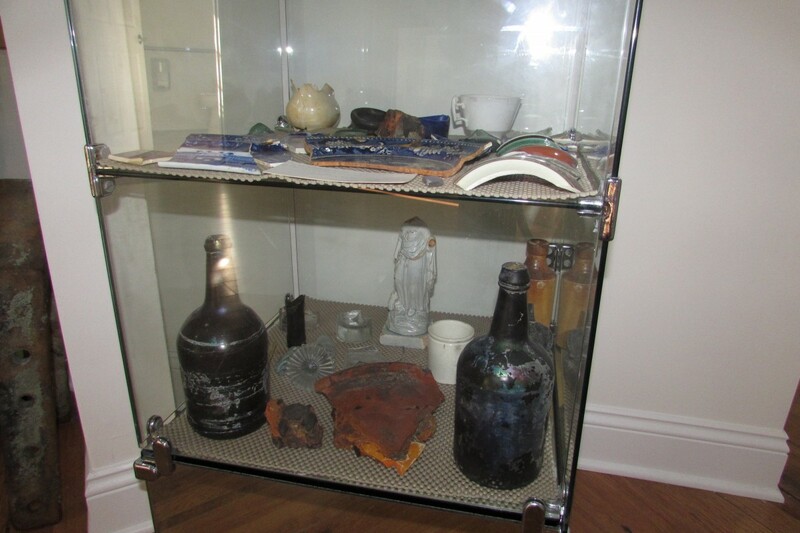 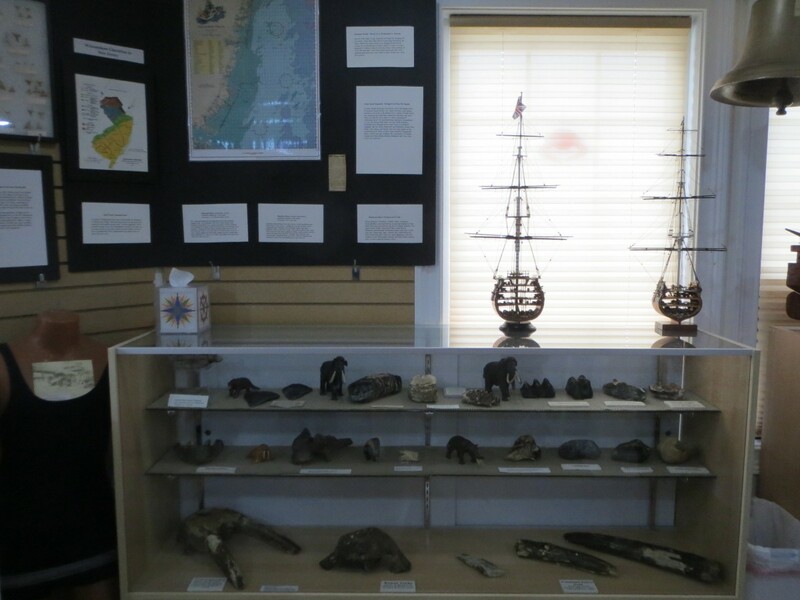 Pre-historic fossils recovered from the inter-continental shelf off the New Jersey coast on loan. 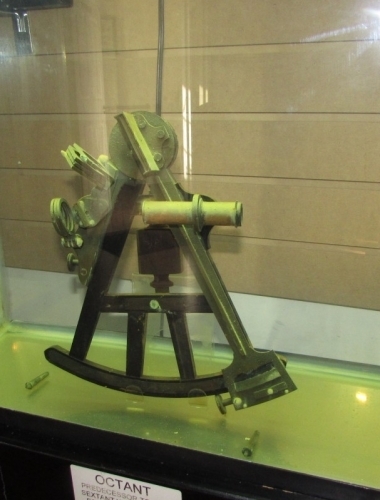 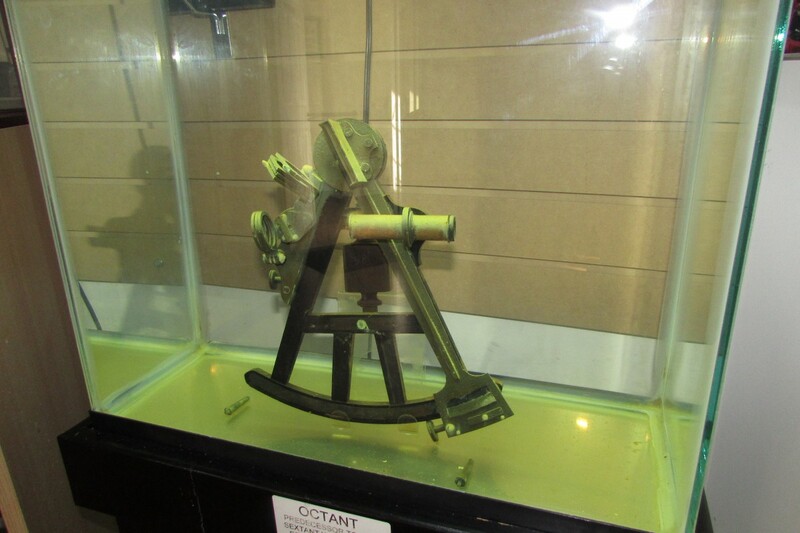 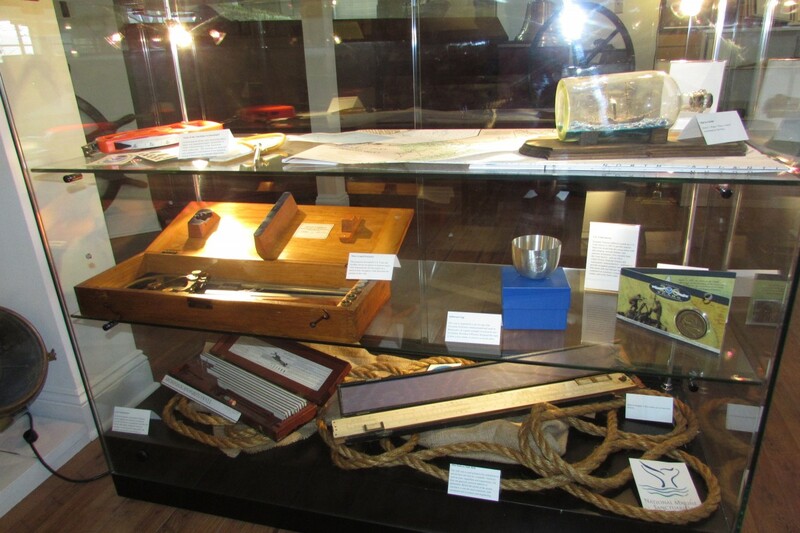 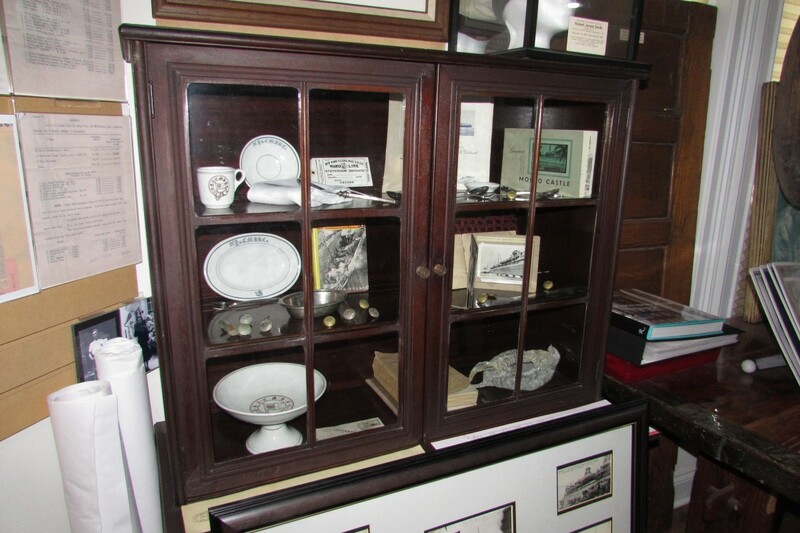 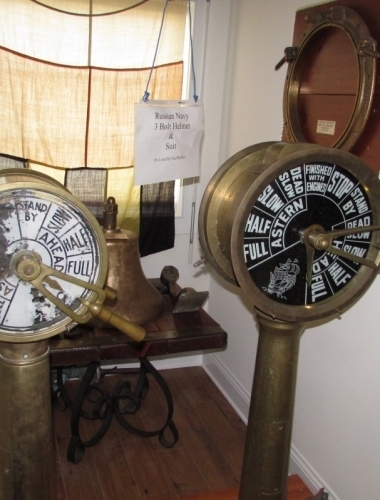 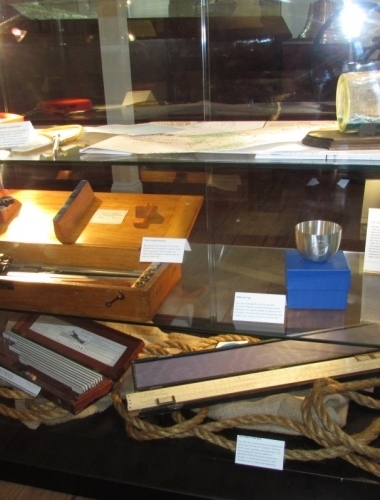 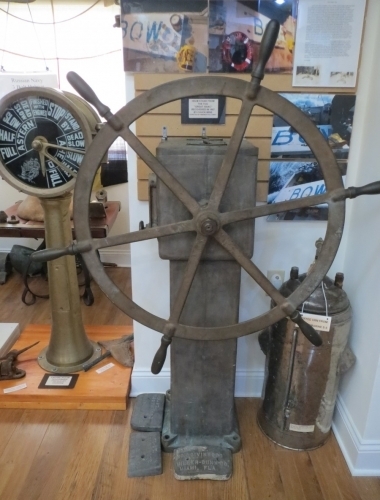 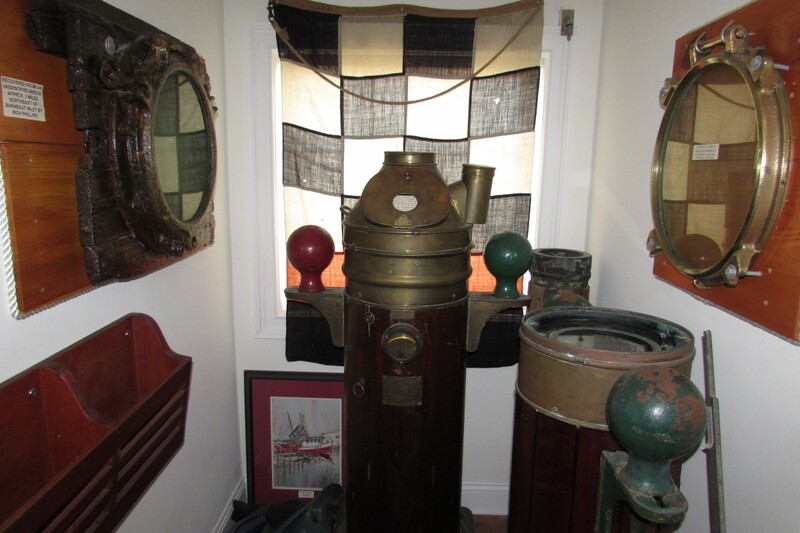 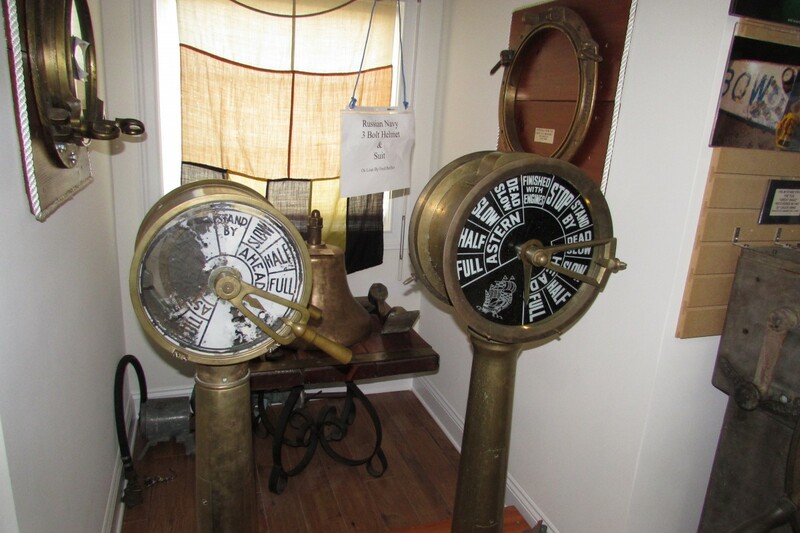 Antique navigational equipment, including taffrail logs, speaking trumpet, chronograph, compass, inclinometer, etc. 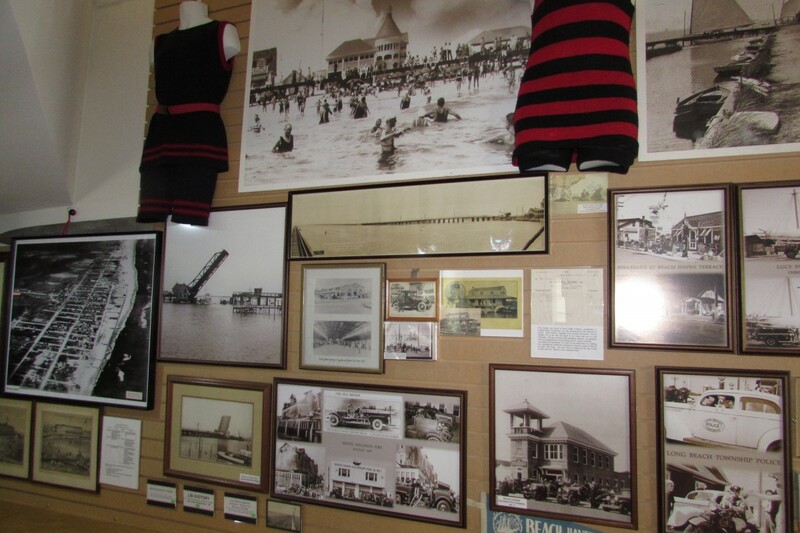 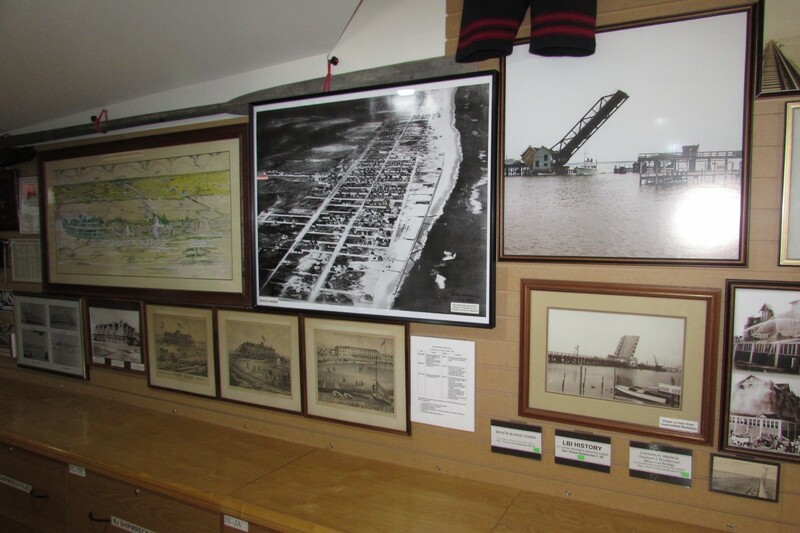 Photographs of Beach Haven’s 1930’s head-boats by renowned photographer Dave Gurtcheff, along with classic scenes of yesteryear Beach Haven and other New Jersey coastal communities. 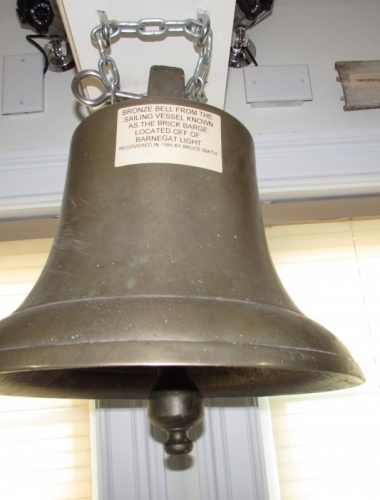 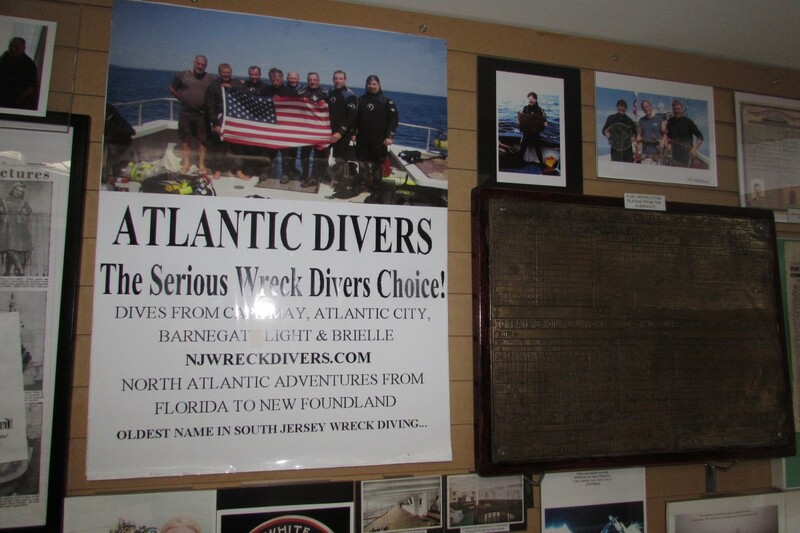 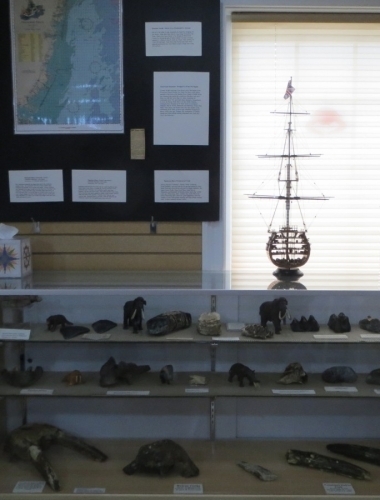 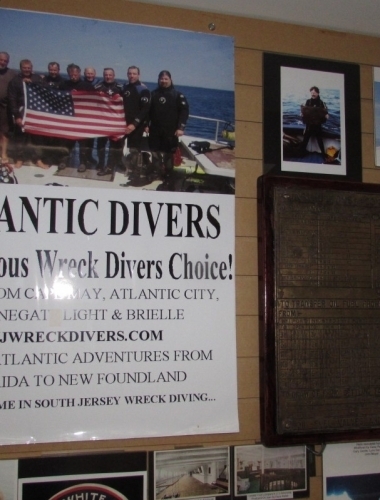 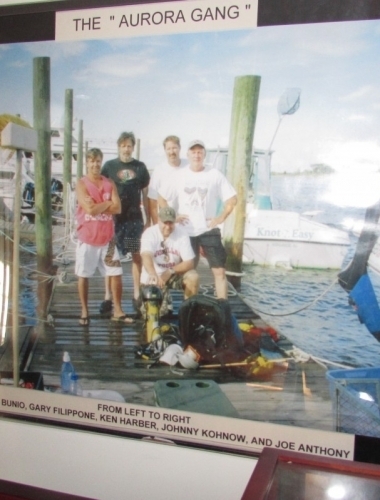 Large number of shipwreck artifacts recovered from various wreck sites off the New Jersey coast by well-known members of the diving community. 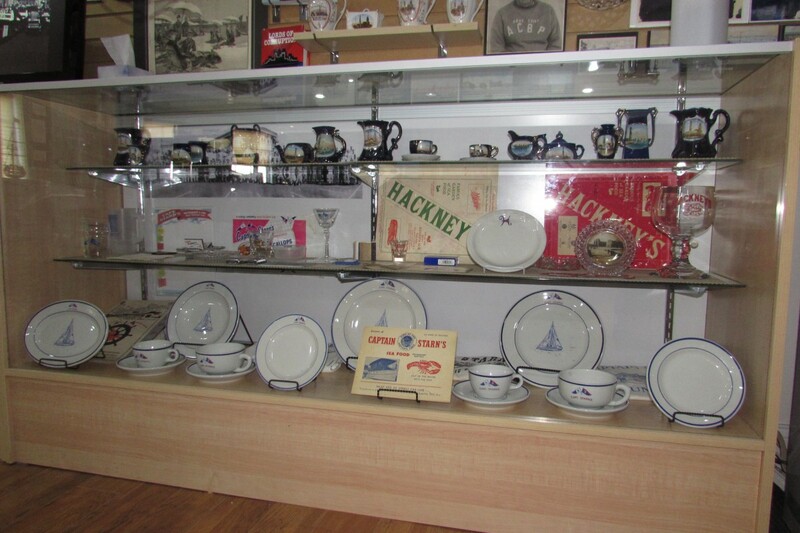 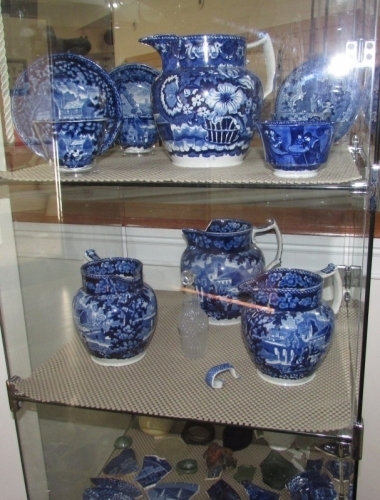 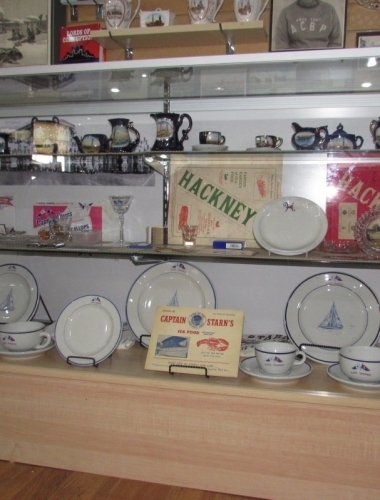 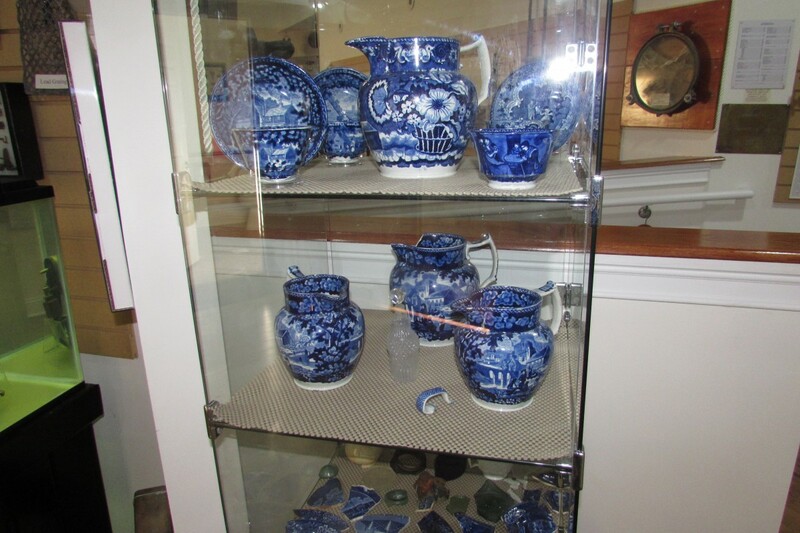 Antique china and silver depicting coastal towns, life-saving stations and lighthouses along the New Jersey coast. 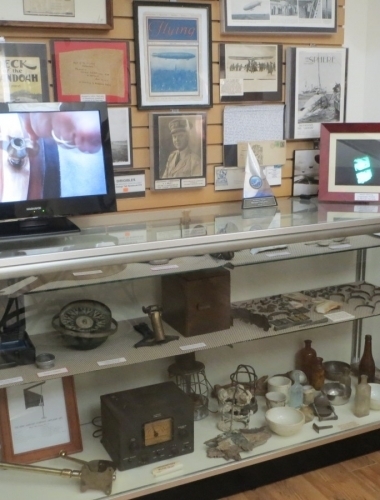 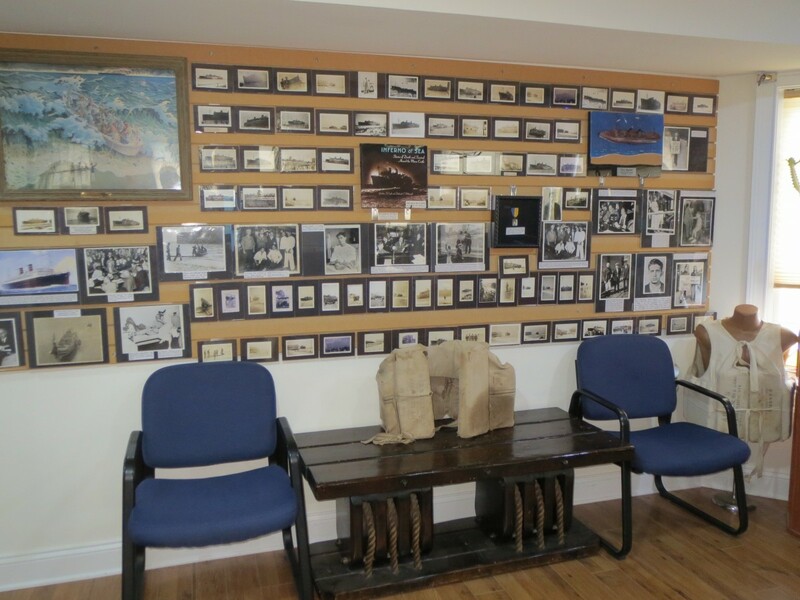 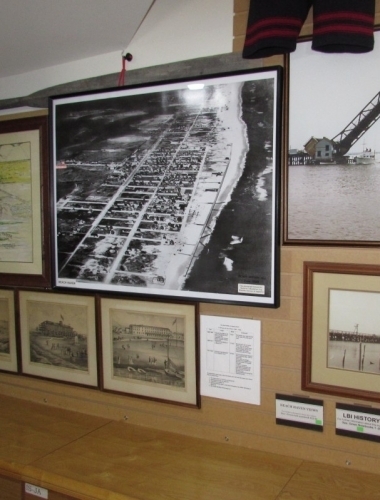 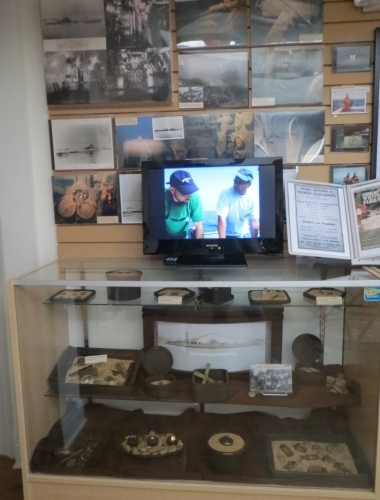 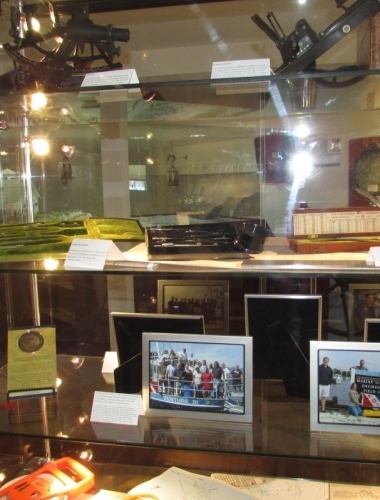 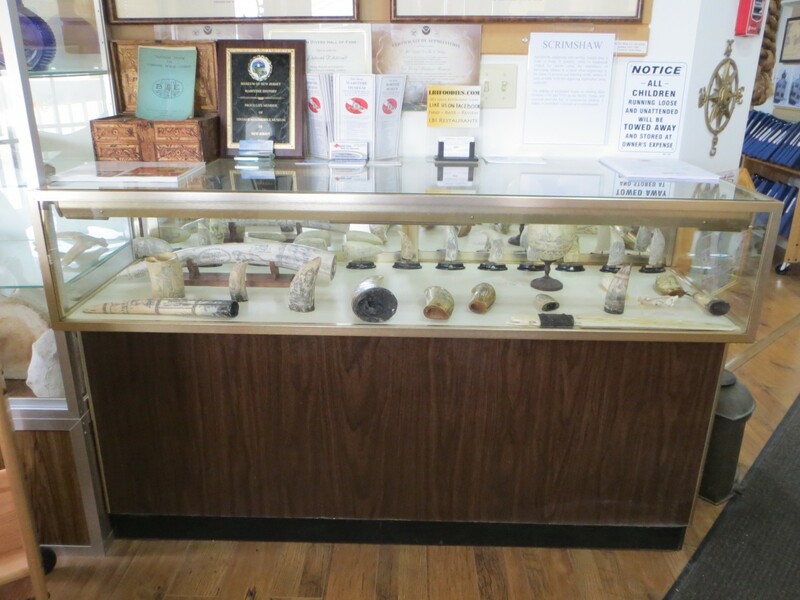 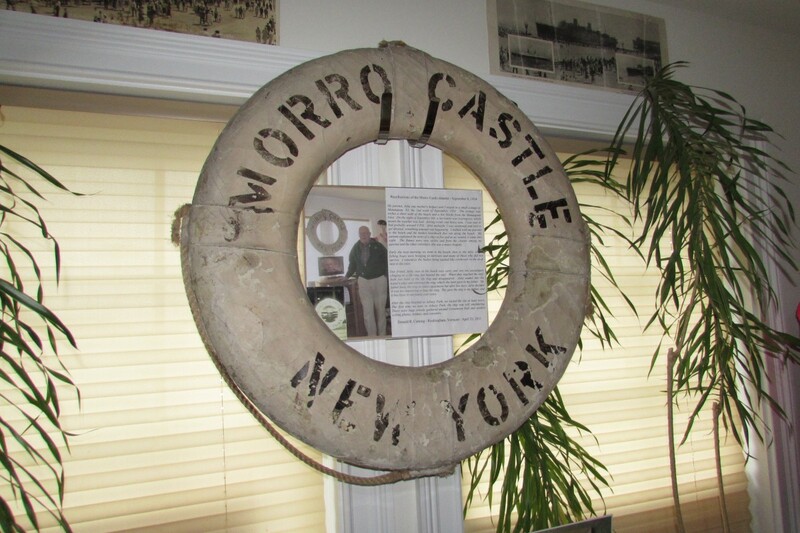 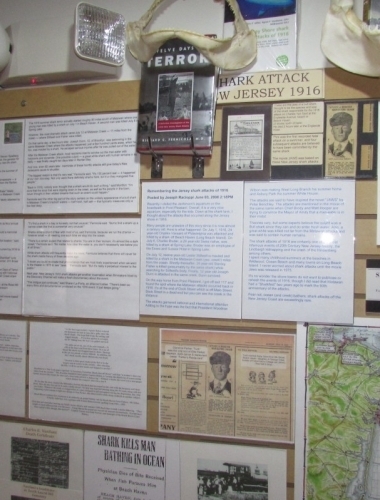 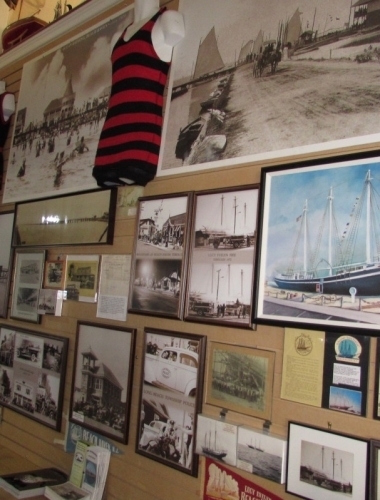 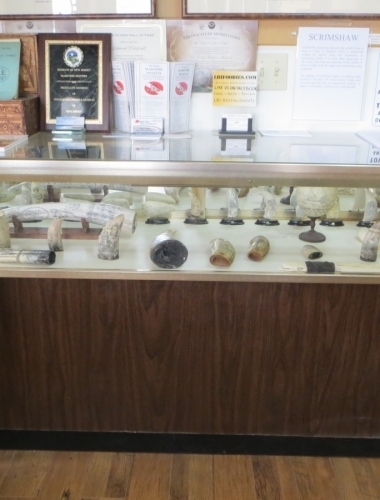 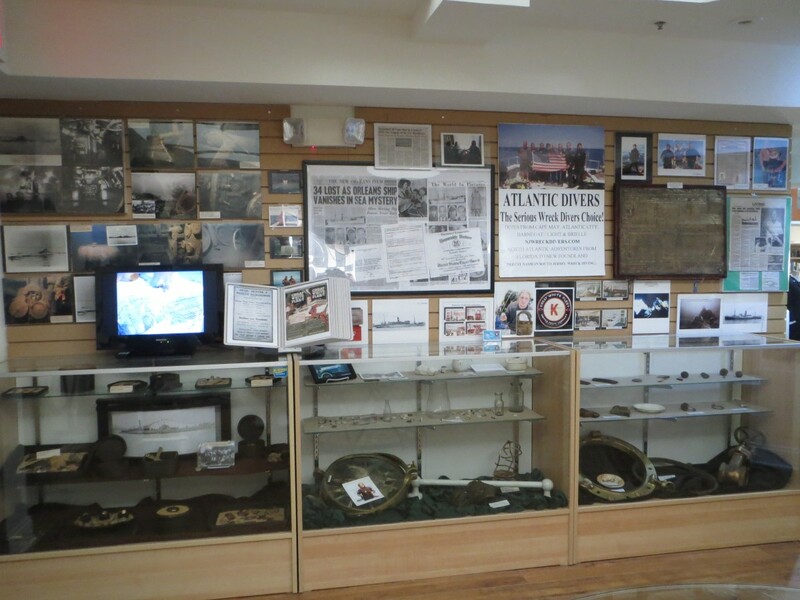 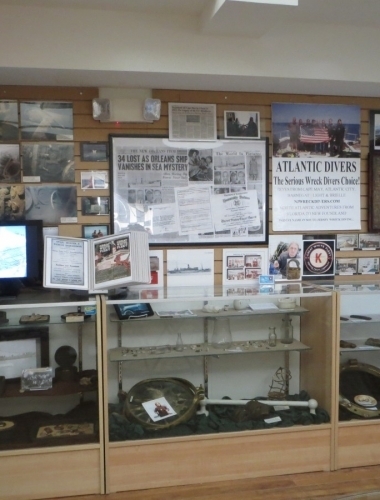 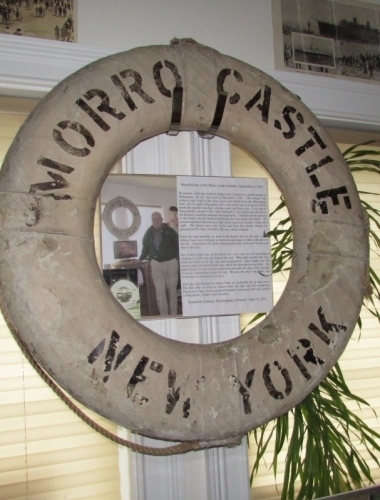 The most extensive Morro Castle shipwreck exhibit ever seen, including: rare photographs, original 1934 video news footage of the disaster; an authenticated life-vest worn by one of the survivors; original Acme News media photos; autographed menus; 1934 newspaper accounts; stateroom keys; rescuer notes; inscribed tokens, rescuer notes and much more. 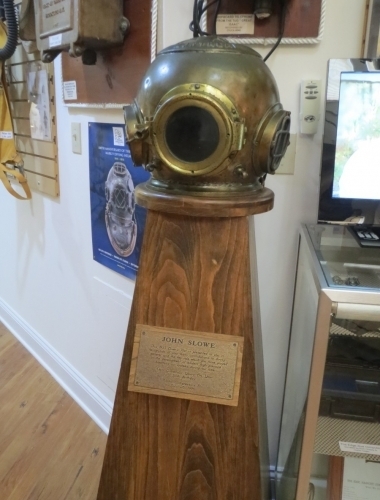 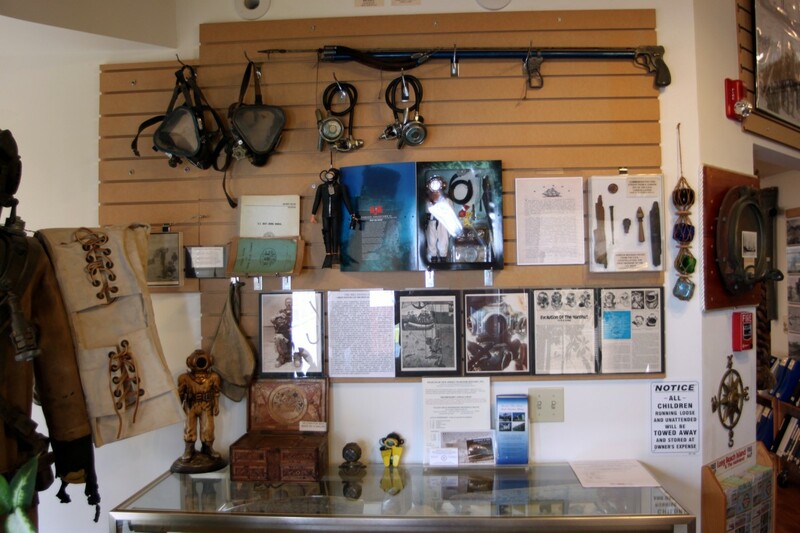 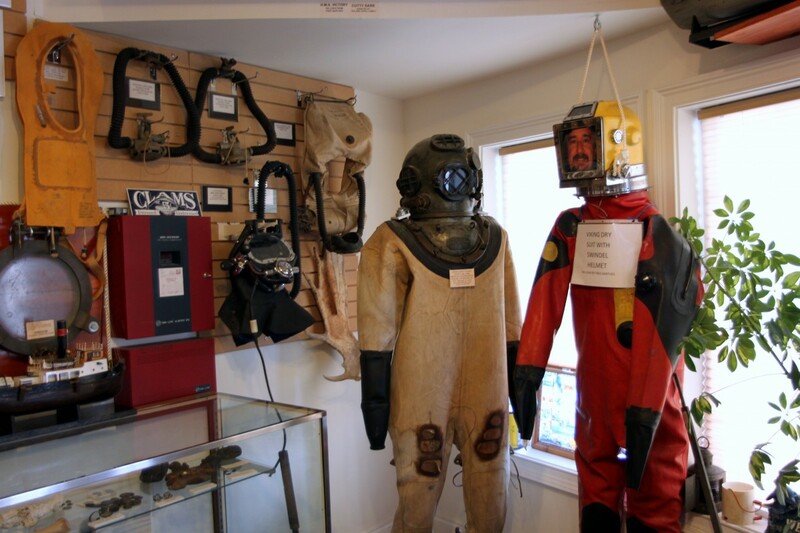 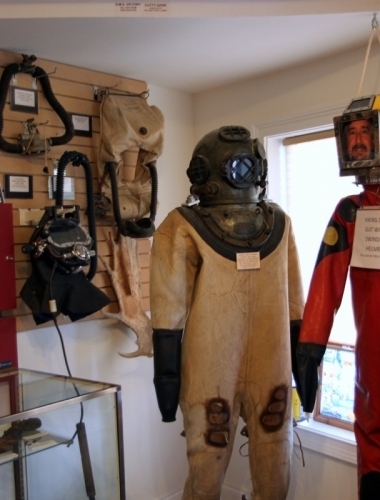 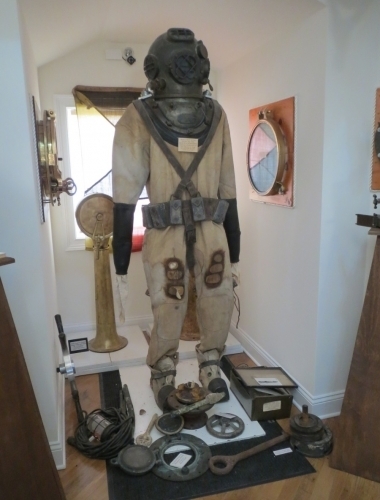 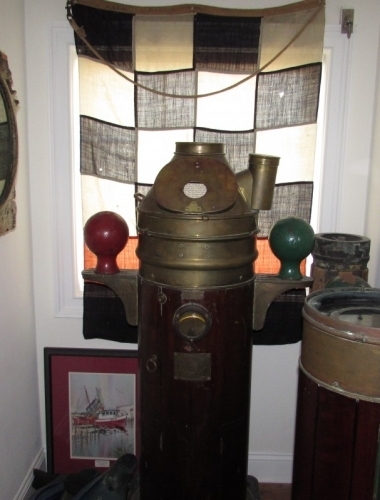 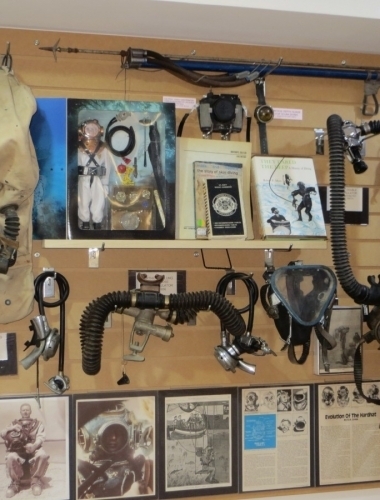 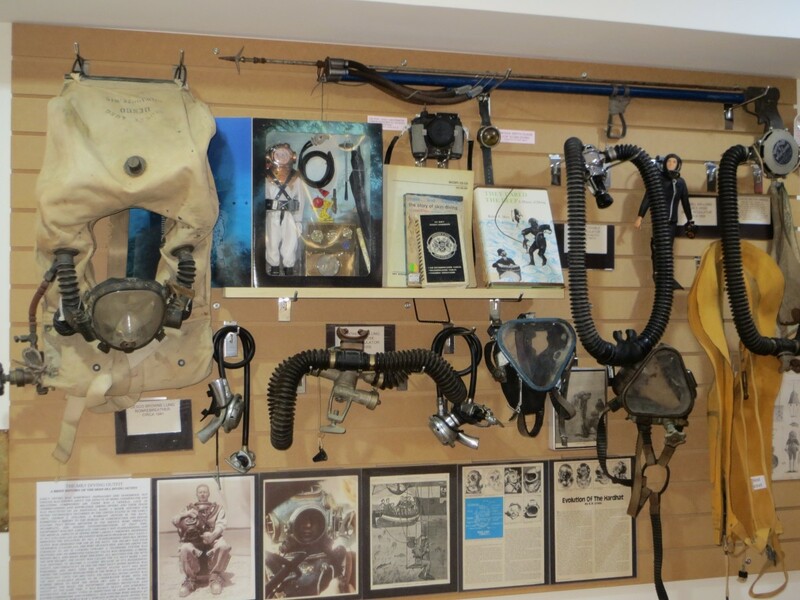 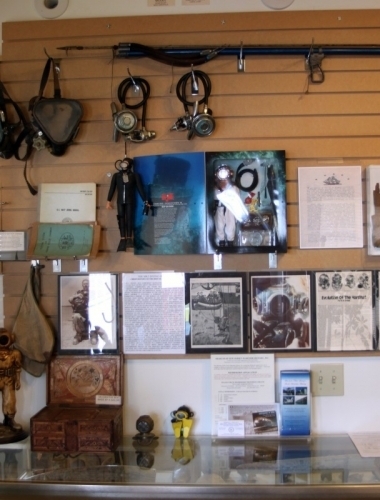 Antique diving gear, including a Mark V Navy diving outfits; rebreather, double hose regulators, etc. 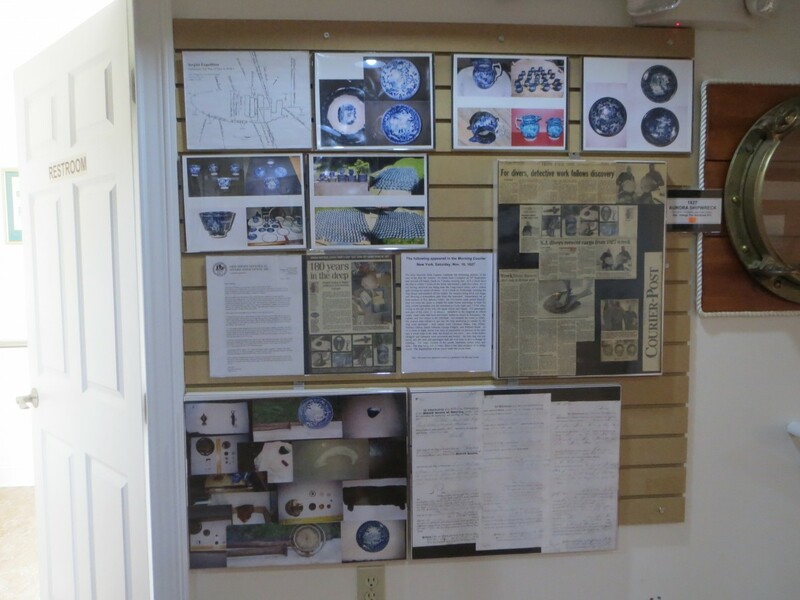 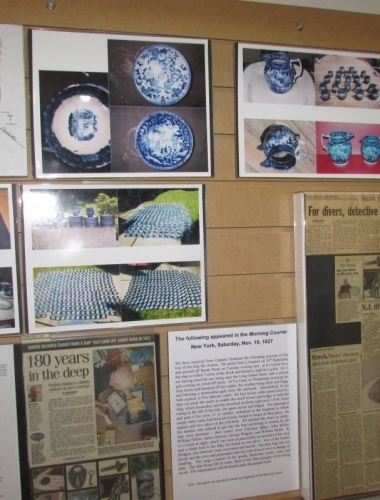 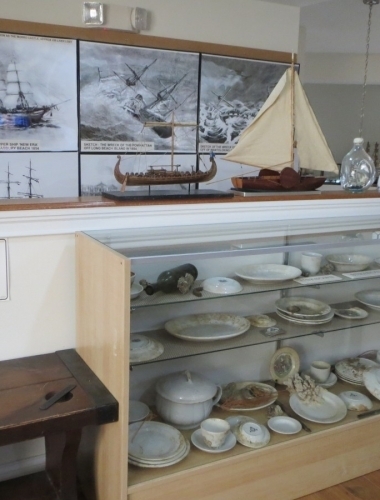 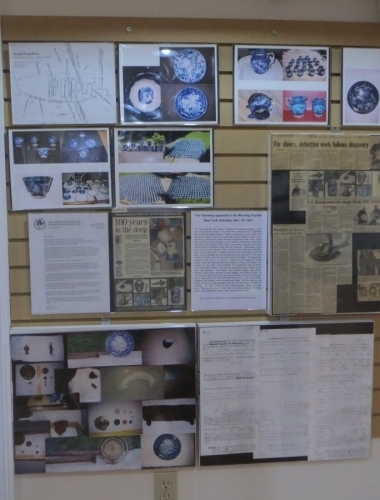 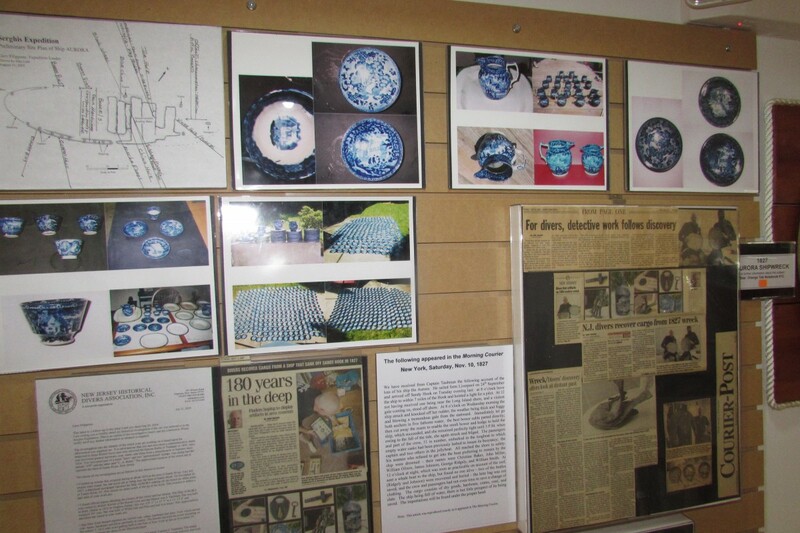 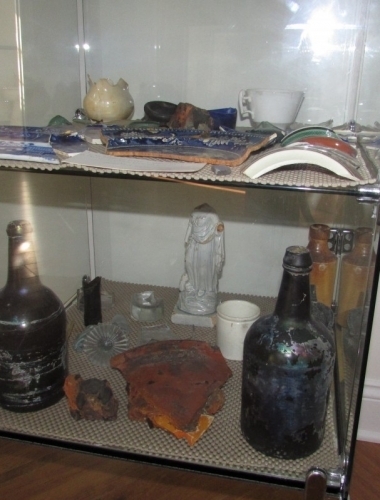 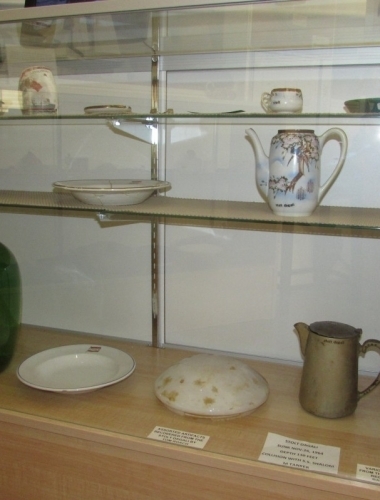 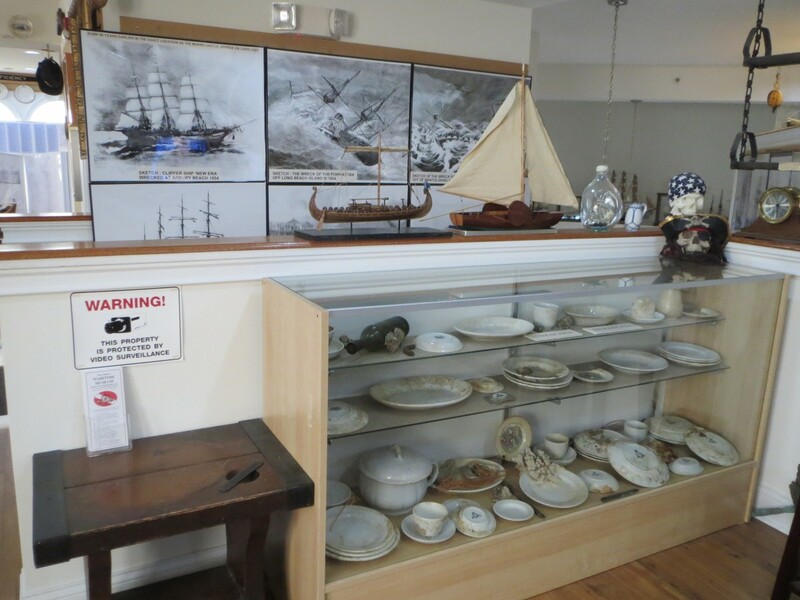 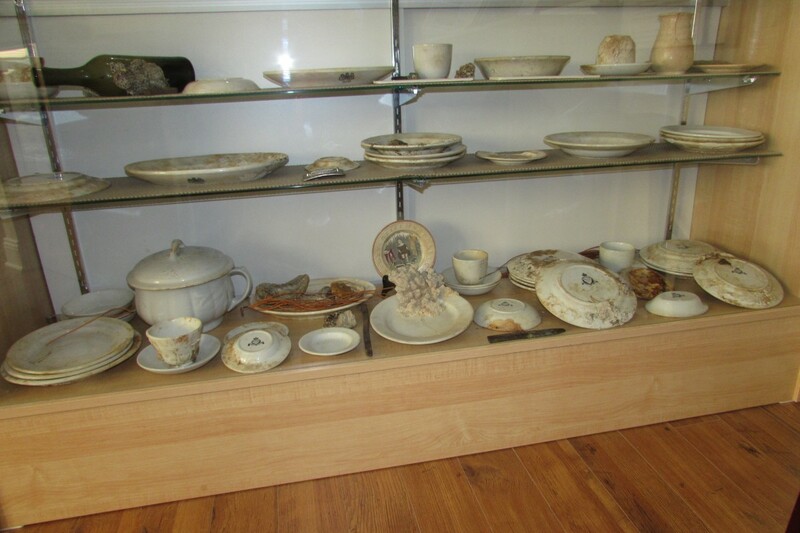 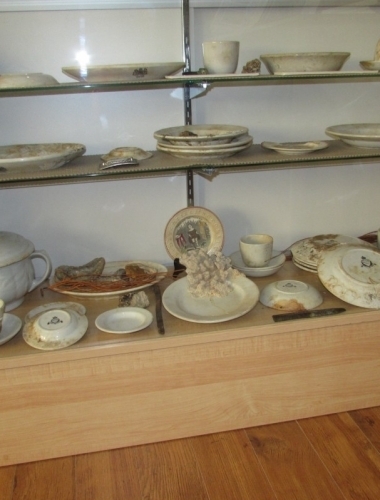 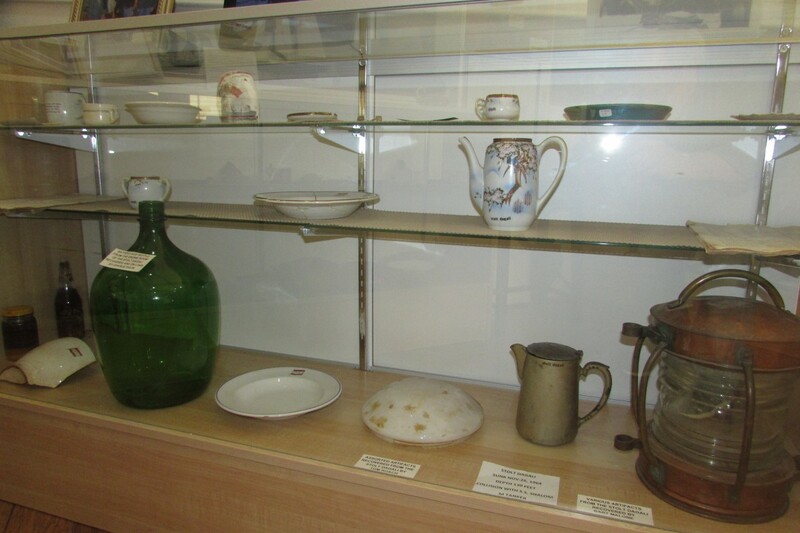 Beautiful china plates, platters, pitchers and other artifacts recovered from the 1827 wreck of the Aurora off Sandy Hook. 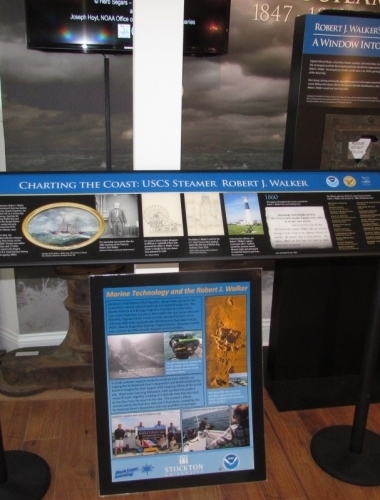 The Robert J Walker was an iron-clad side-wheel steamer assigned to the US Coast Survey to chart the coast of the United States. 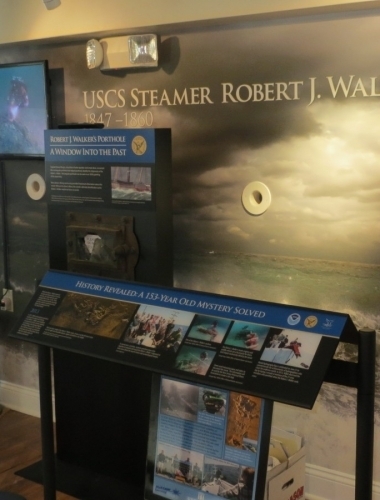 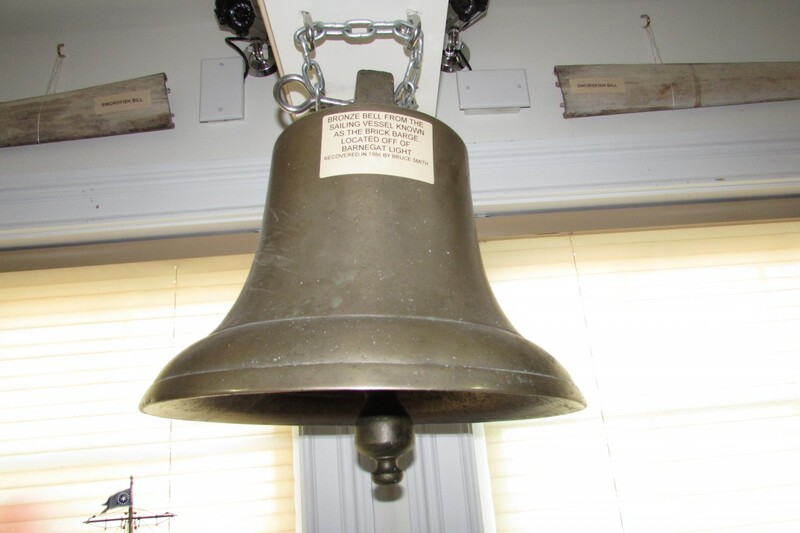 Walker sank on June 21, 1860 after a collision with Fanny 12 miles east of Absecon Beach. 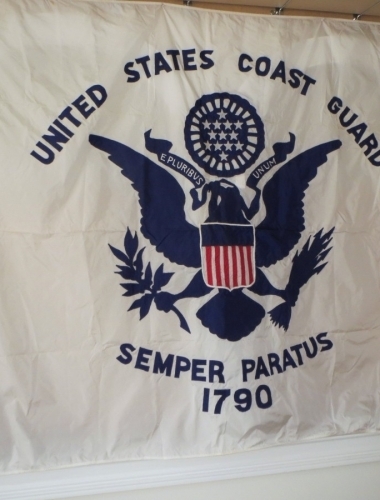 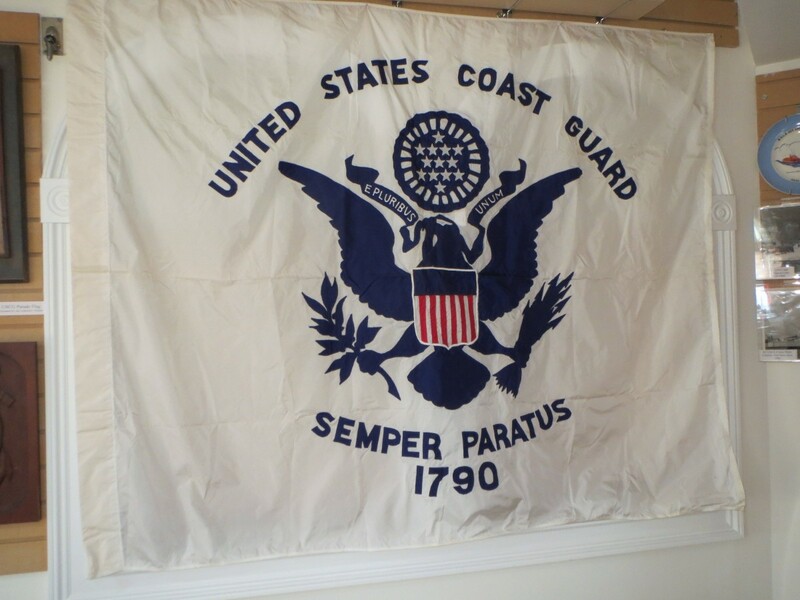 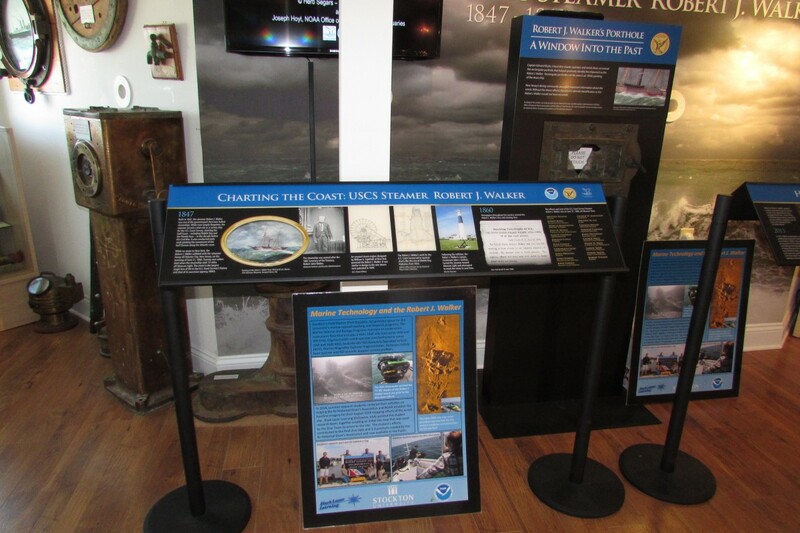 The Coast Survey is now part of the National Oceanic and Atmospheric Administration (NOAA). 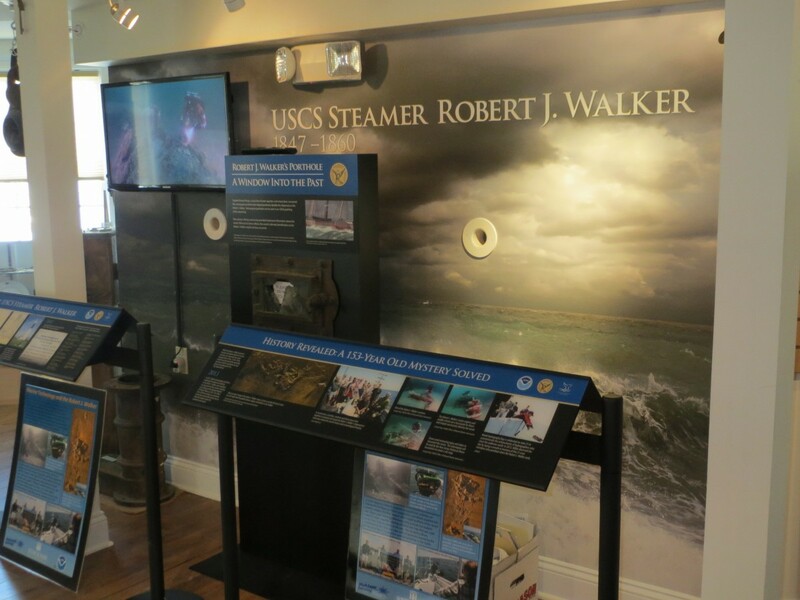 The wreck of the Walker has been identified and surveyed by NOAA and local divers. 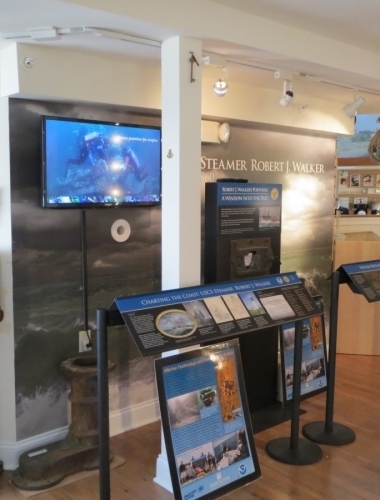 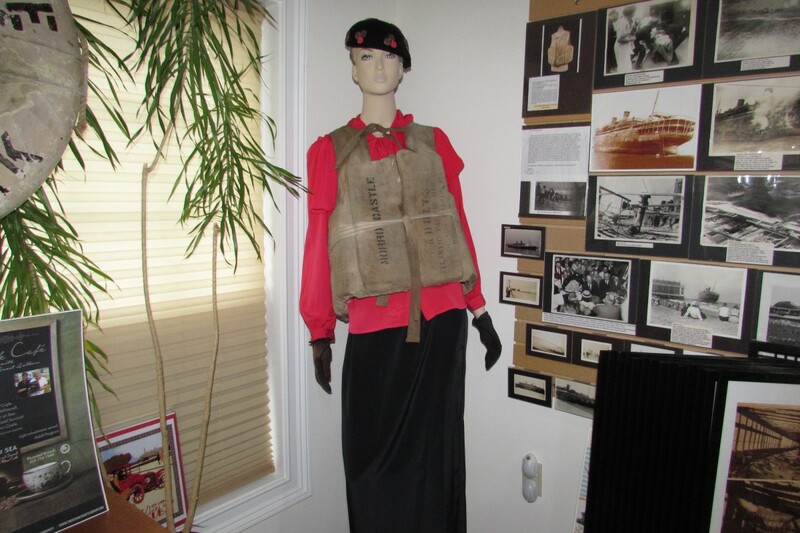 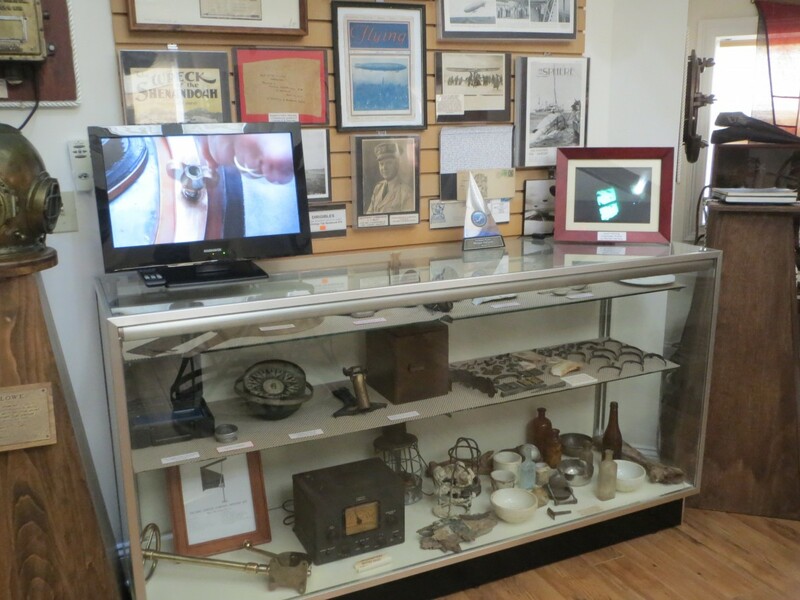 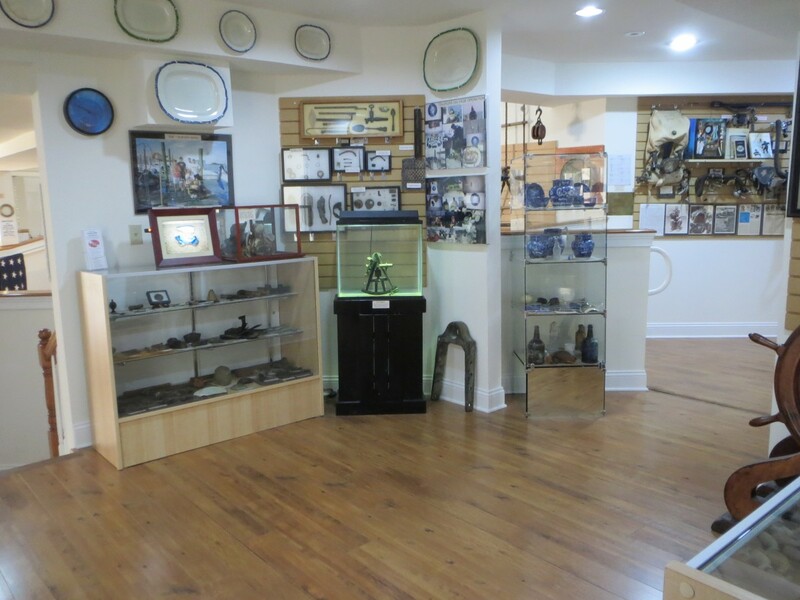 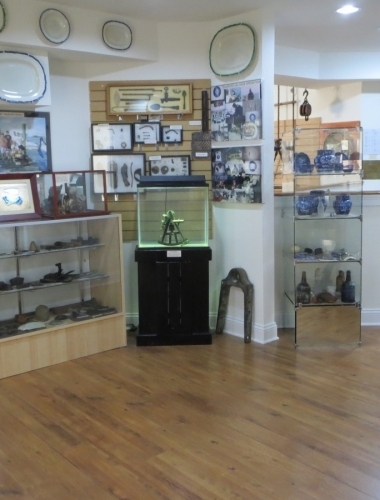 The NJ Maritime Museum is honored to be the only location to have a permanent exhibit of the Walker and some of her artifacts. 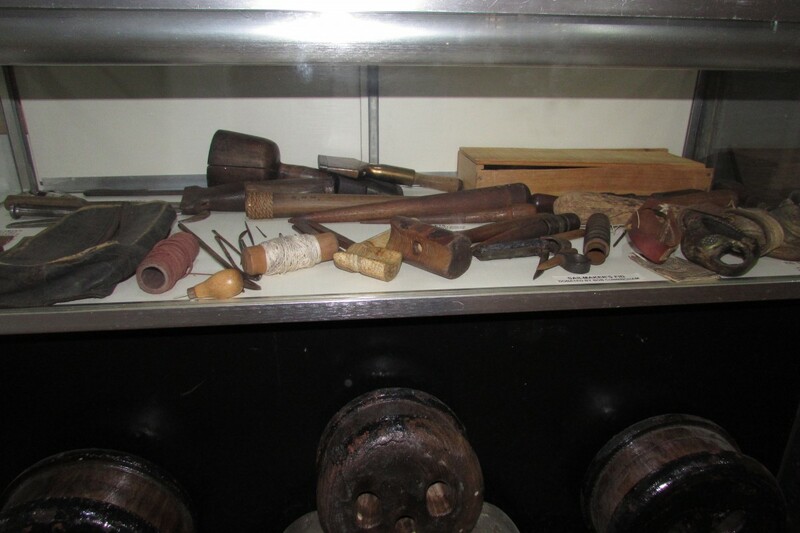 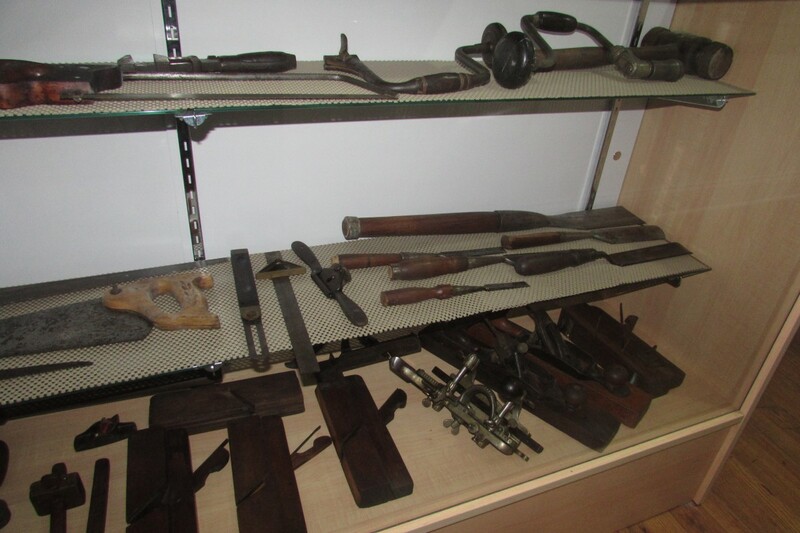 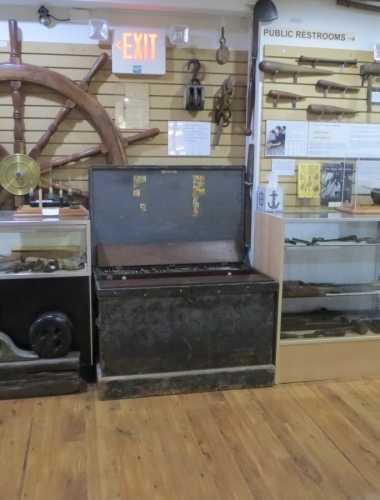 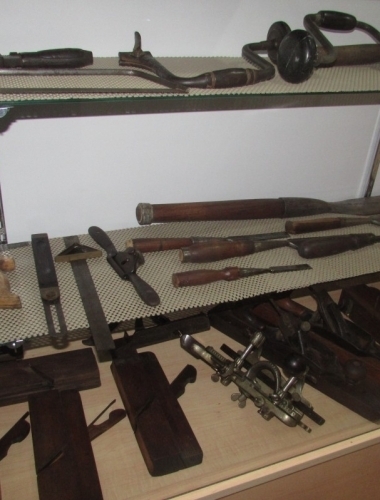 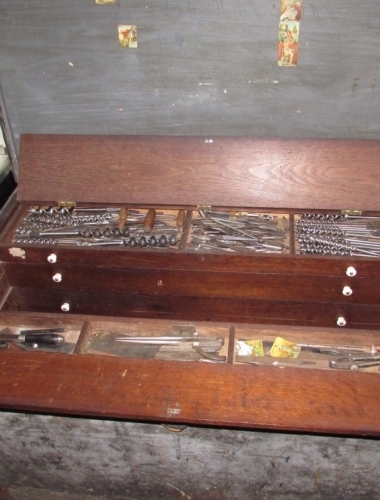 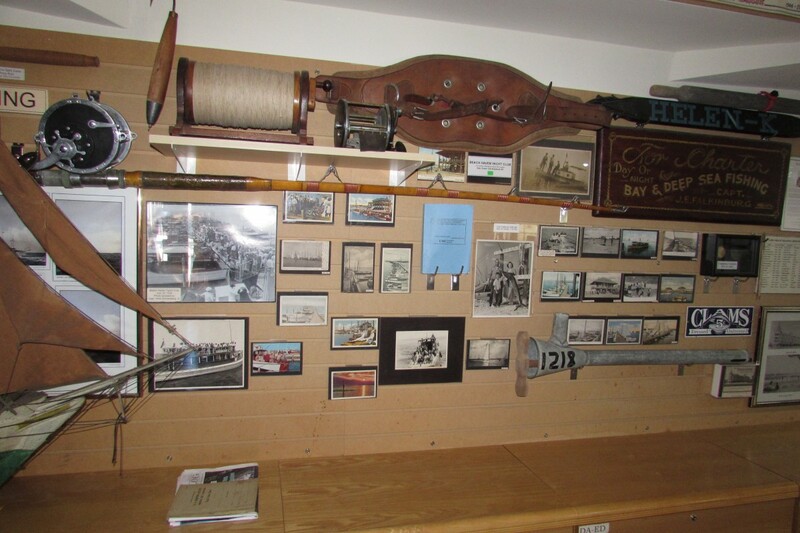 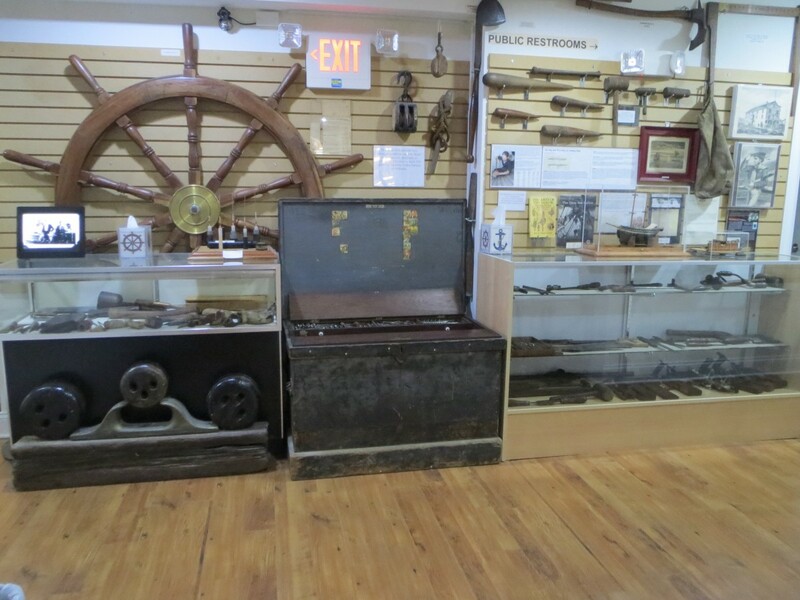 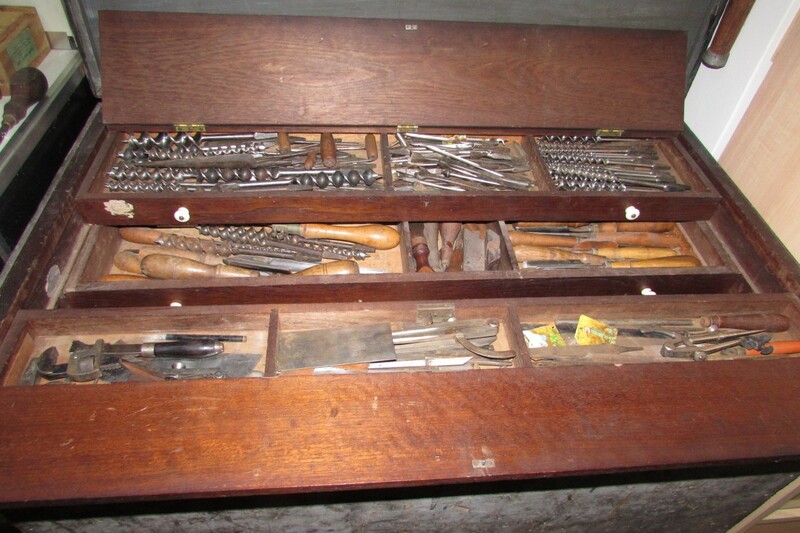 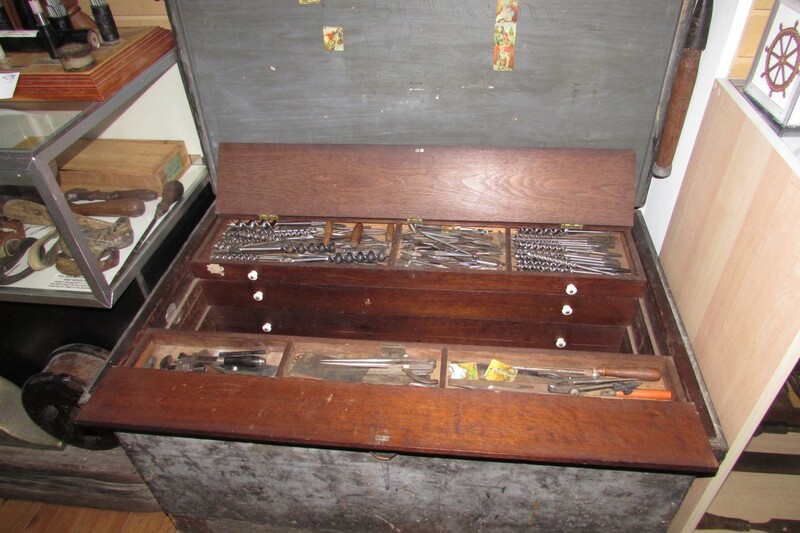 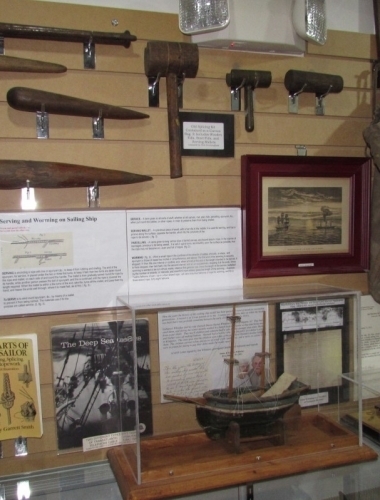 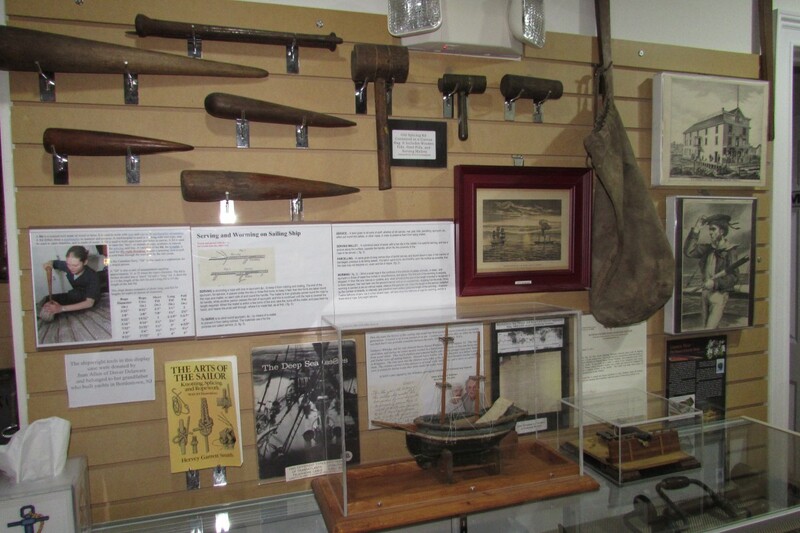 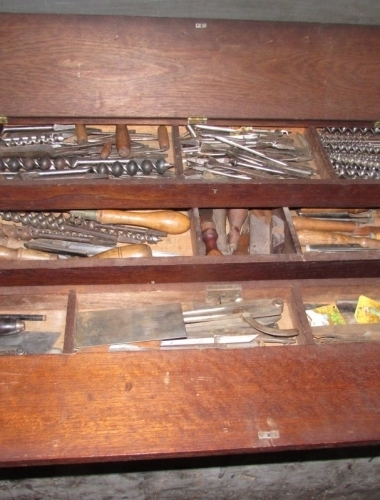 We are grateful to several persons who have donated collections of 19th century shipbuilding tools. 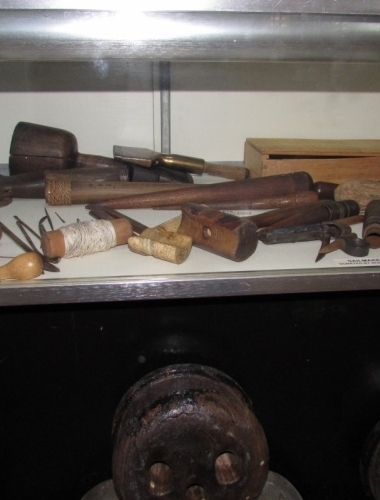 Viewing these tools helps our visitors to understand how those huge wooden ships were built by shipwrights using these hand tools. 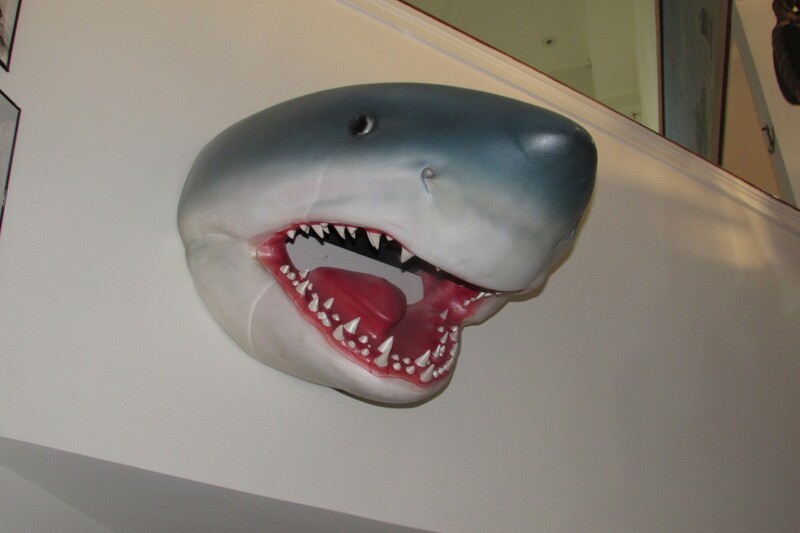 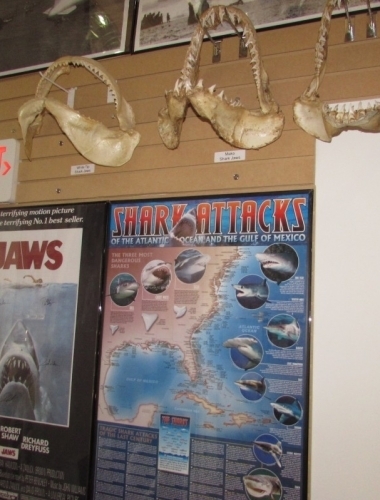 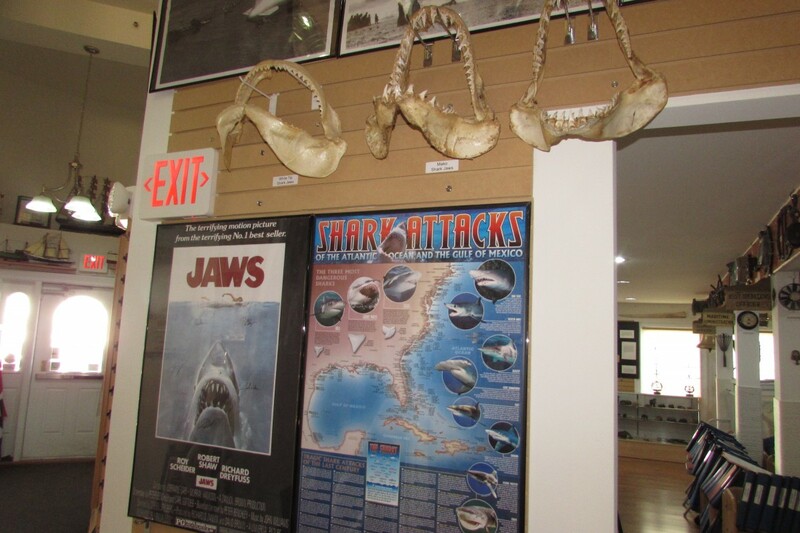 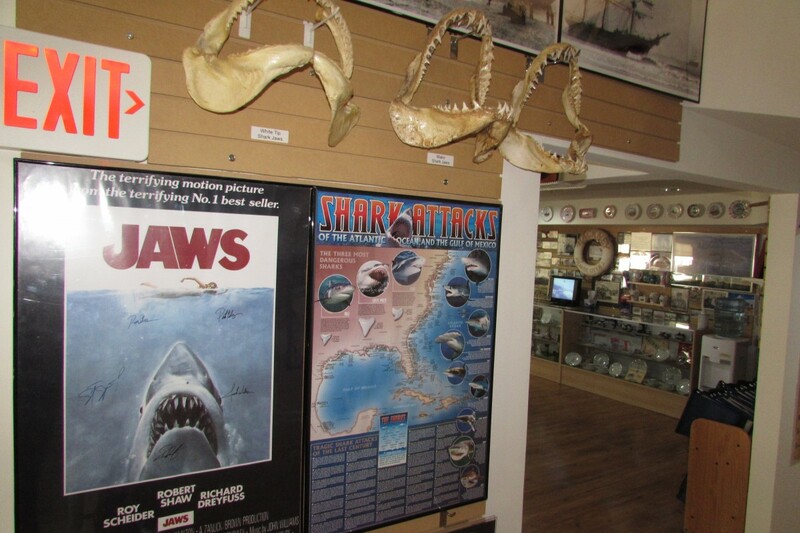 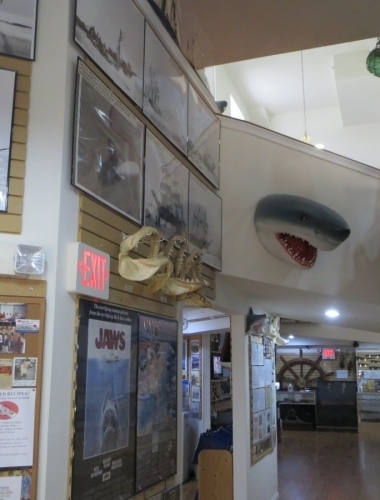 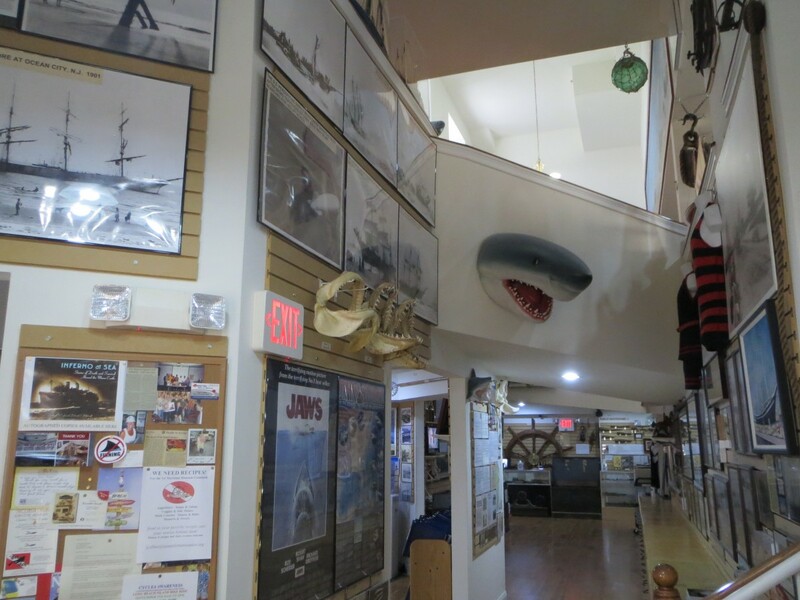 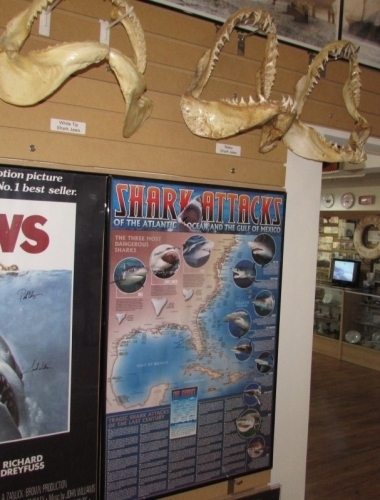 Like it or not, sharks are a part of New Jersey’s maritime history. 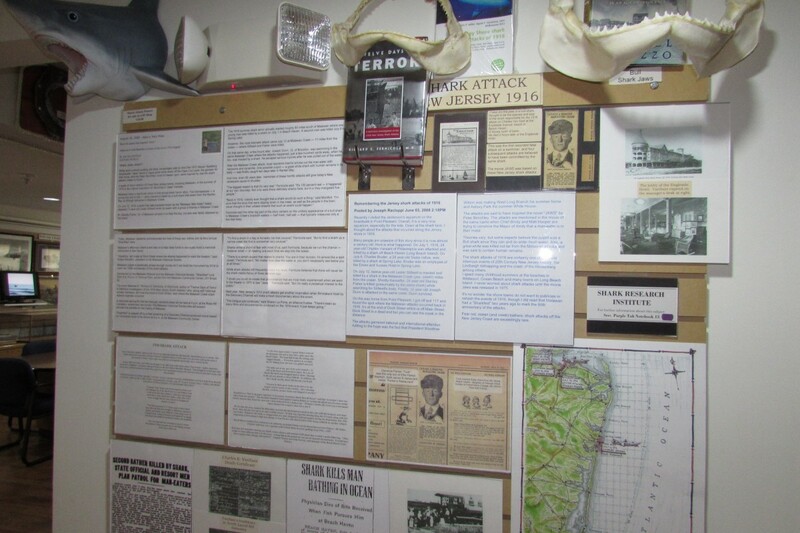 The most famous are the shark attacks that killed two people during the summer of 1916. 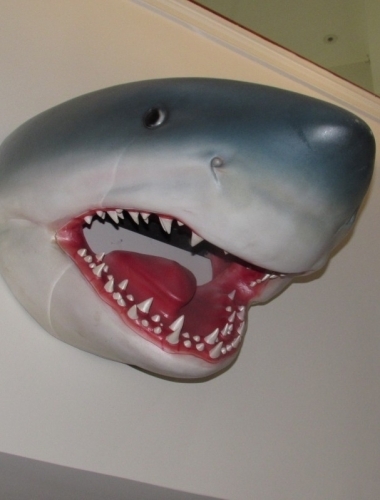 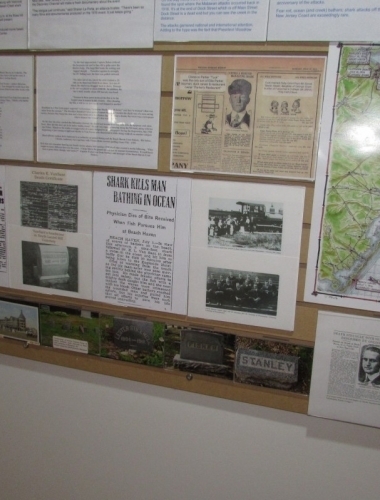 The 1916 shark attacks will be the theme of the 2016 museum fundraiser next September.